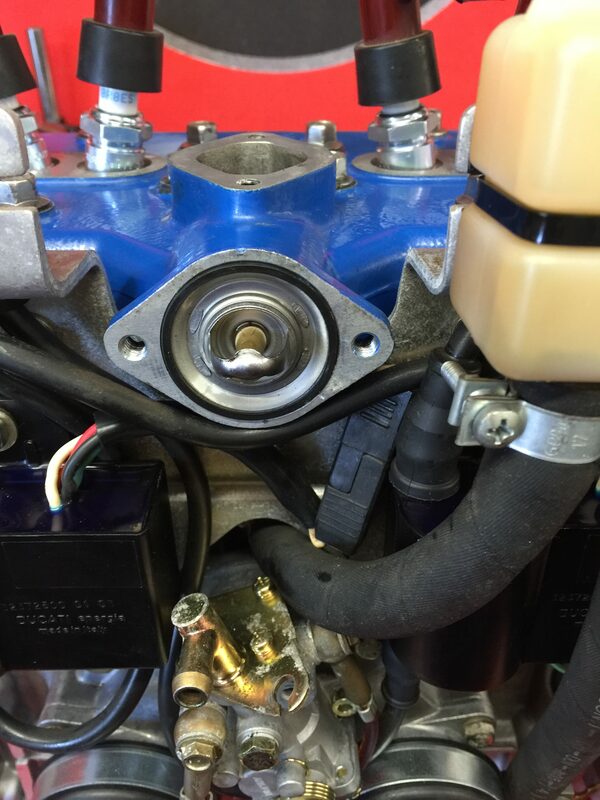 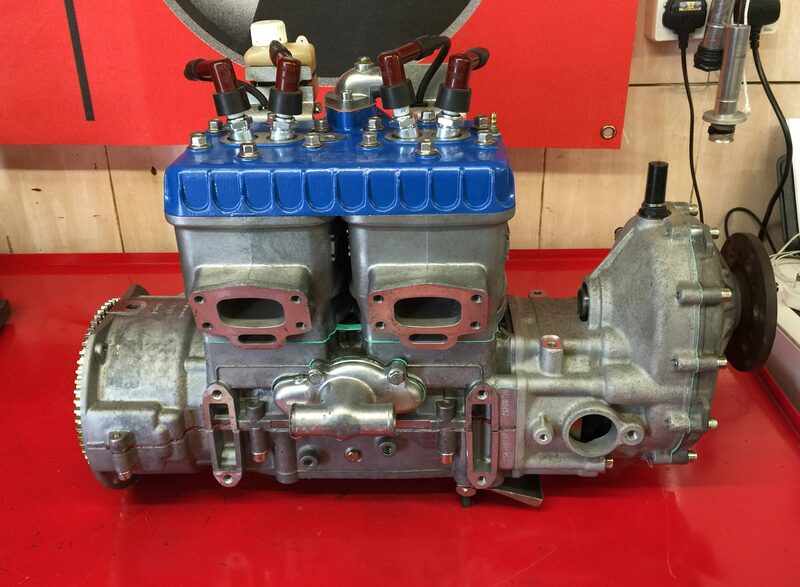 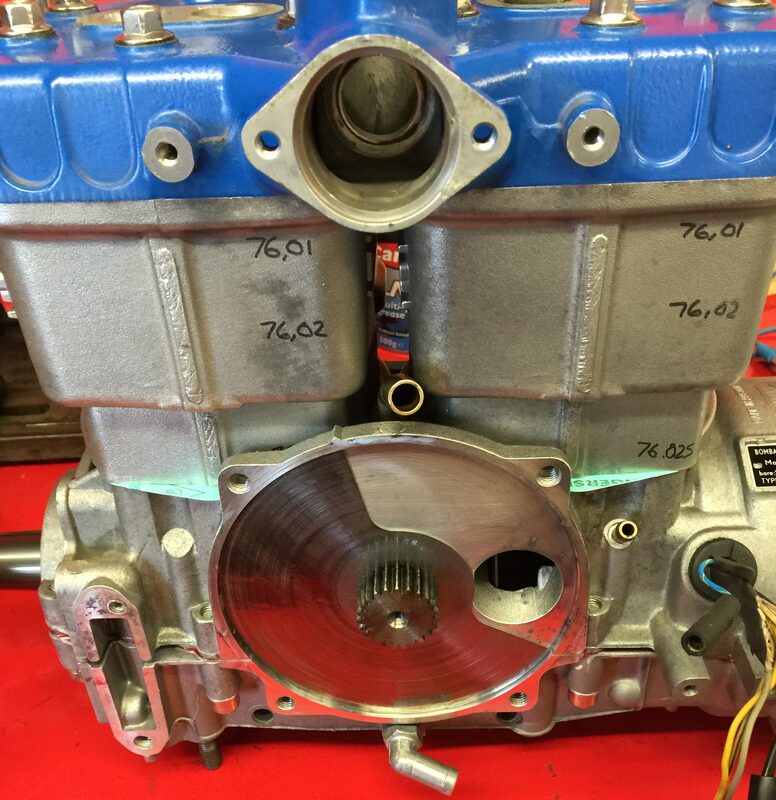 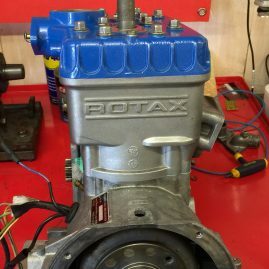 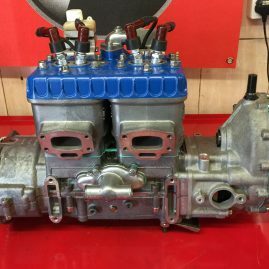 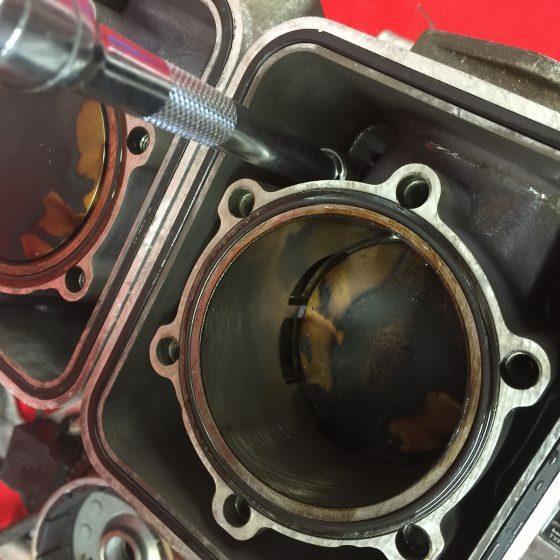 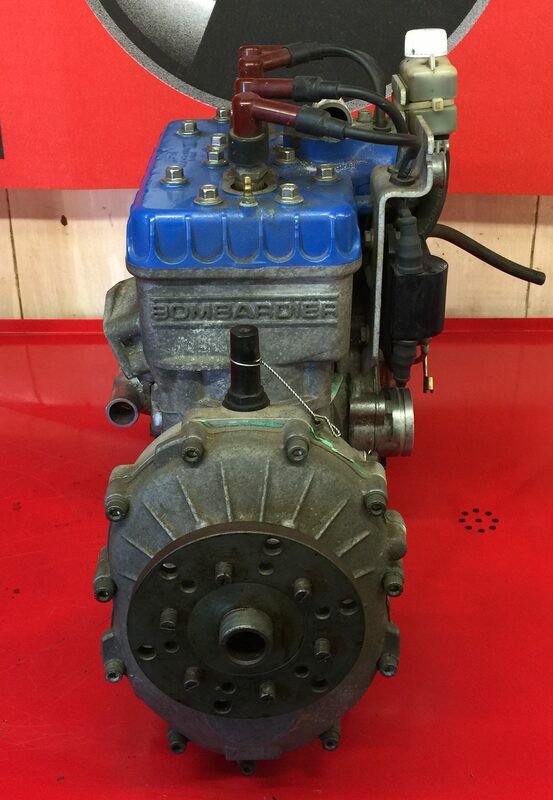 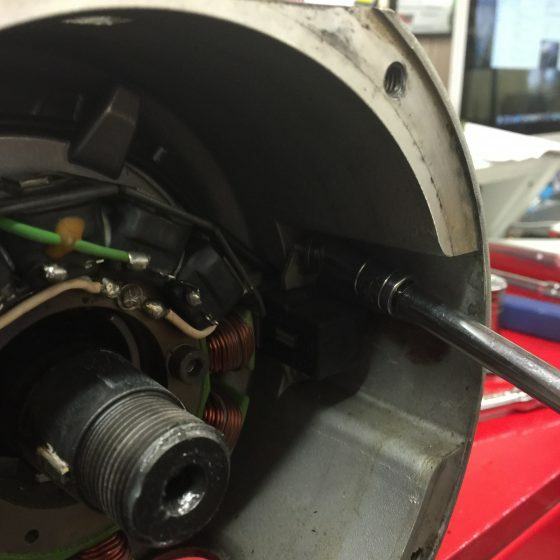 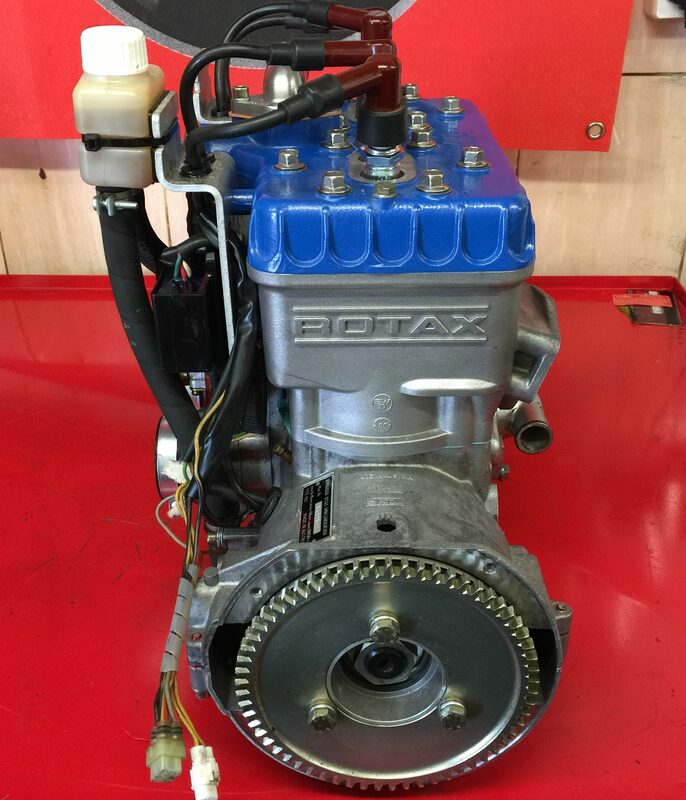 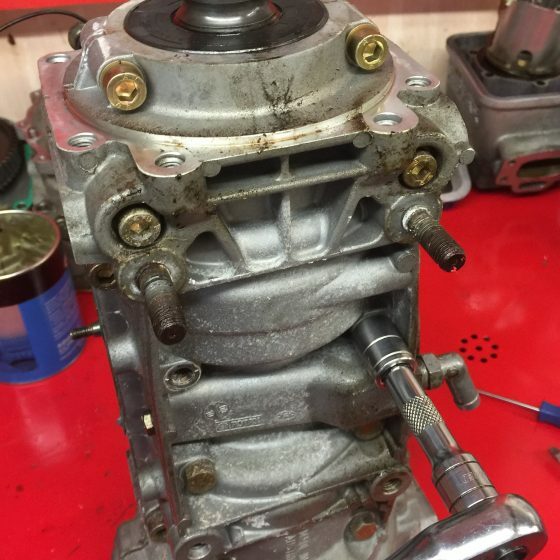 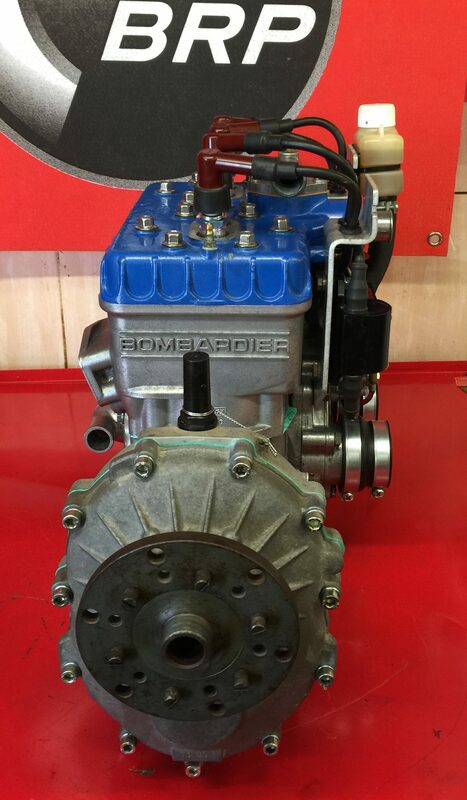 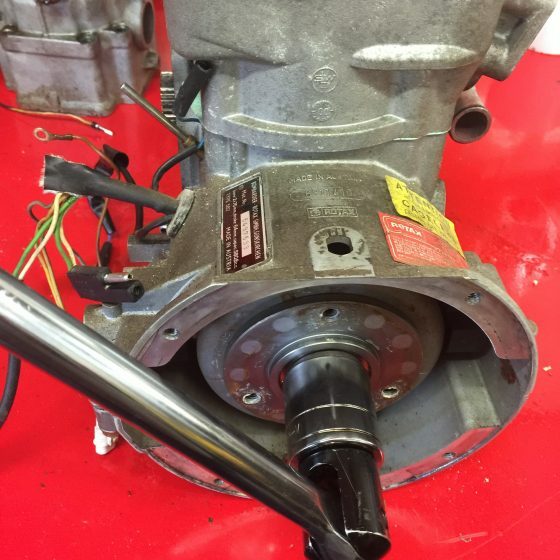 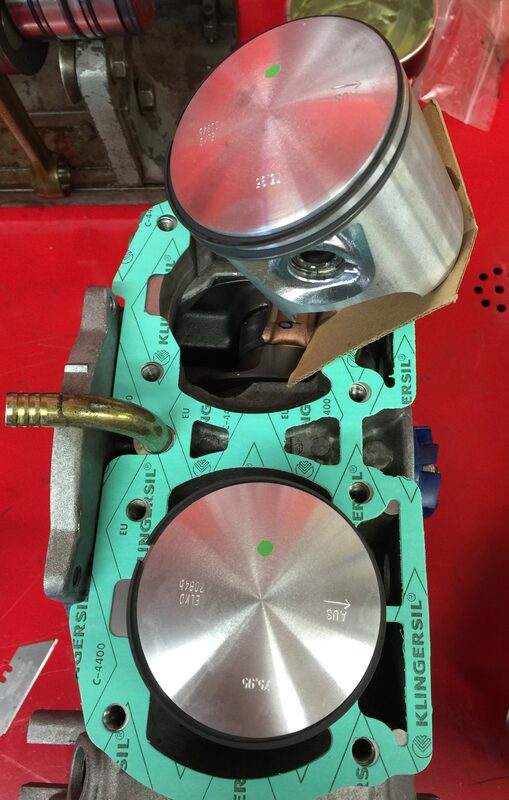 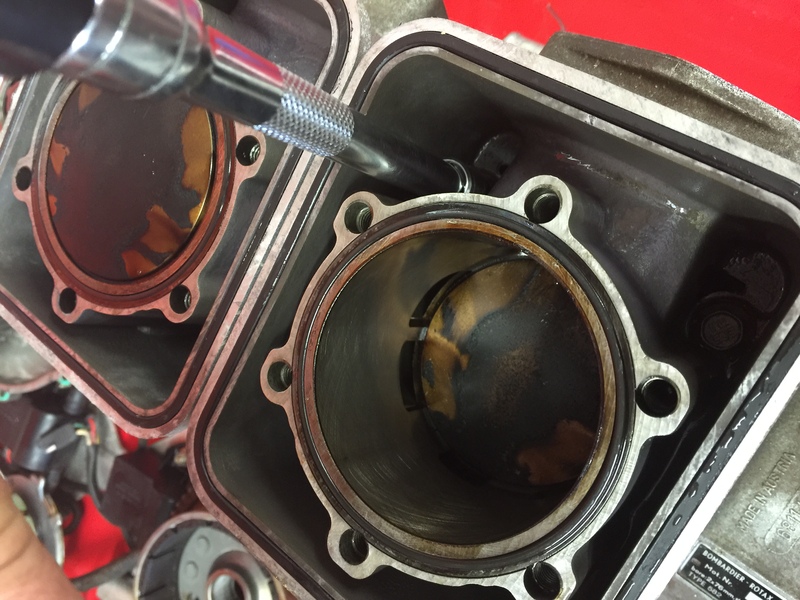 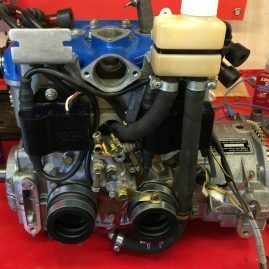 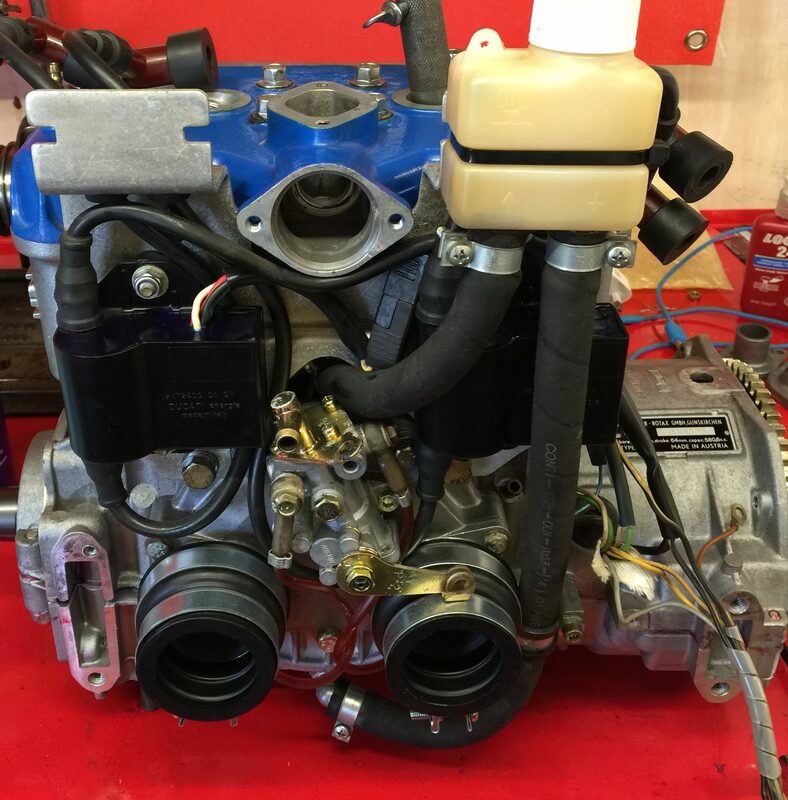 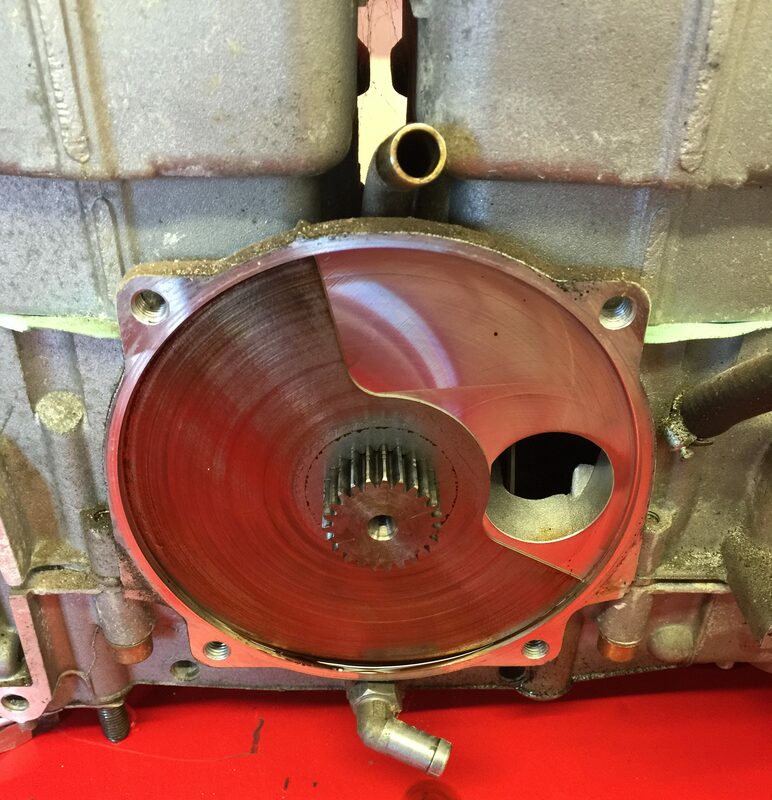 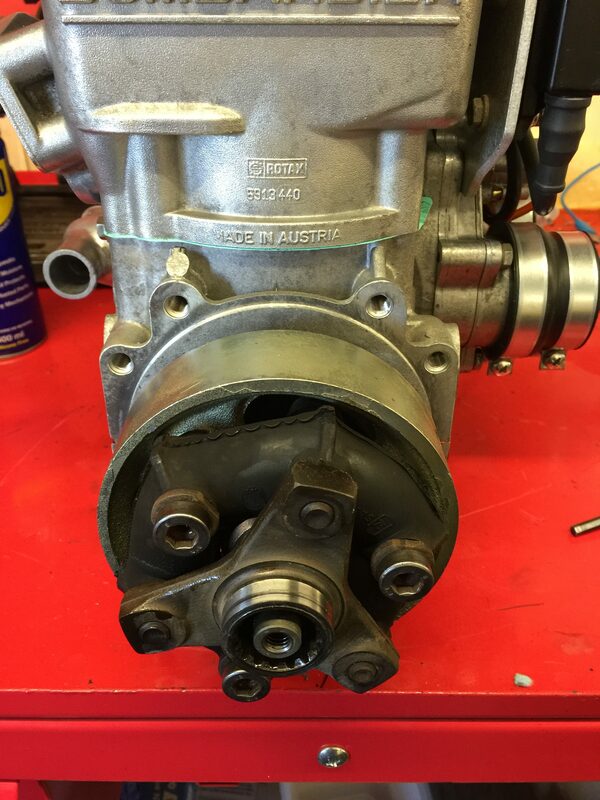 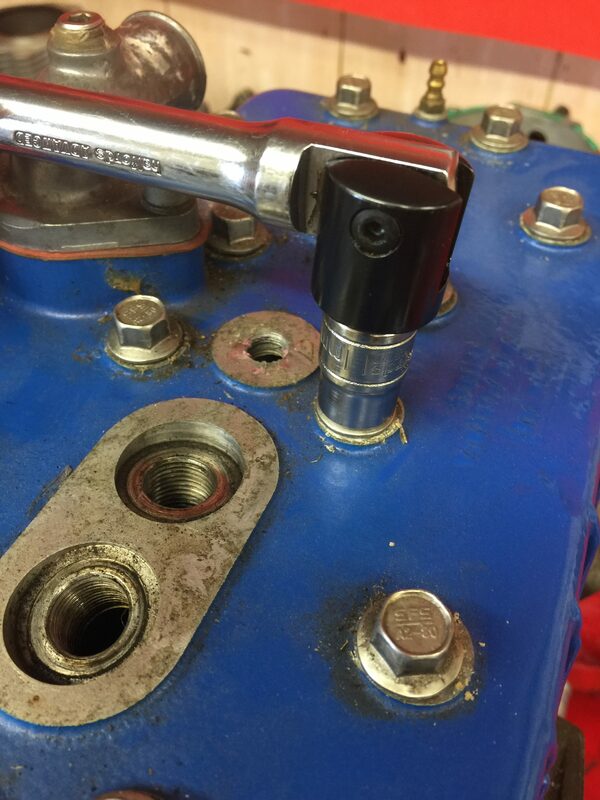 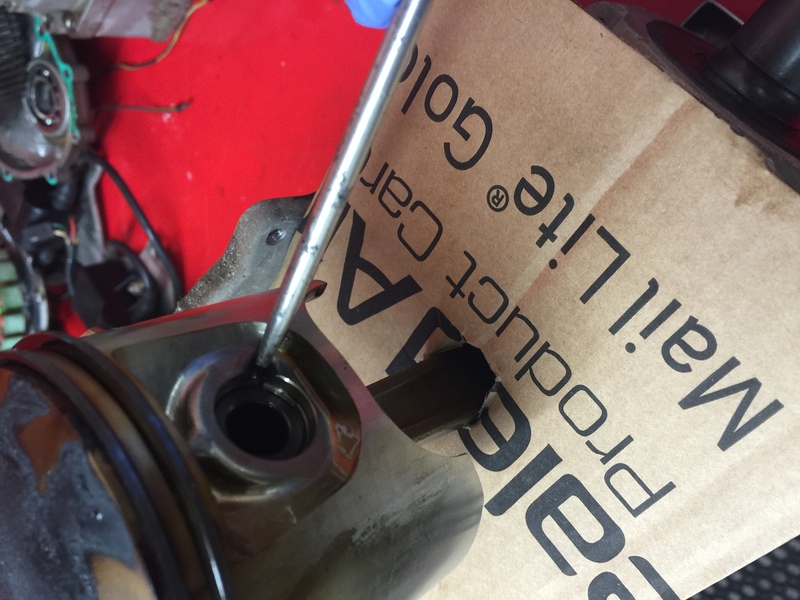 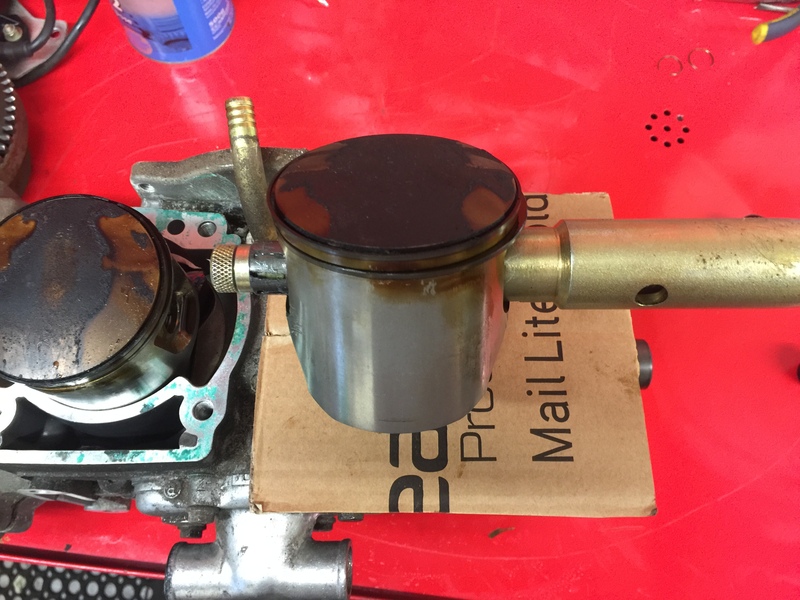 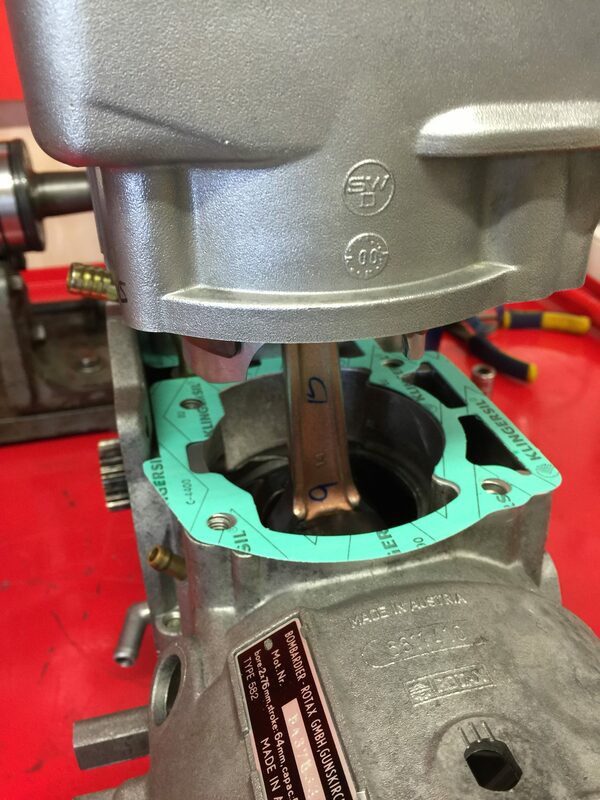 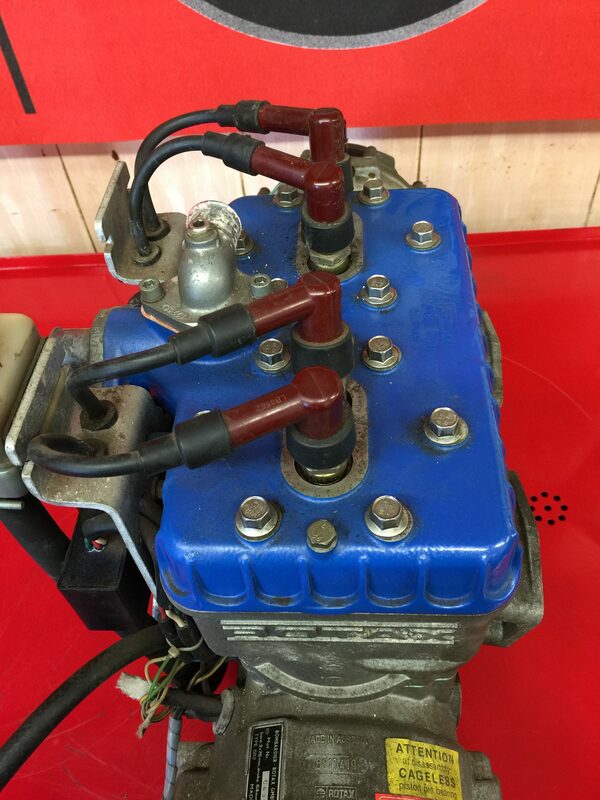 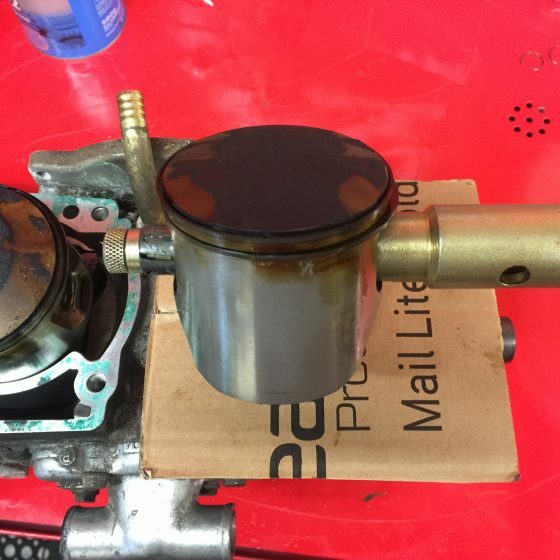 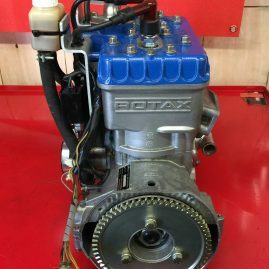 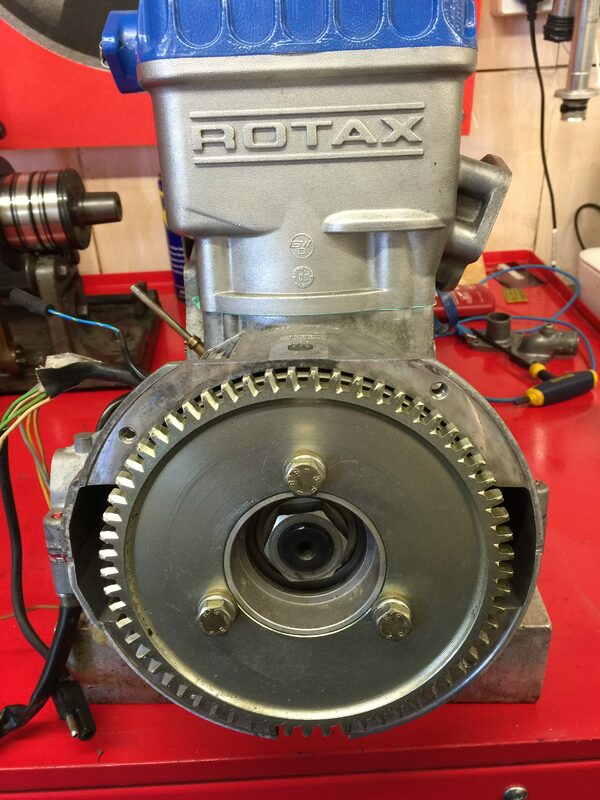 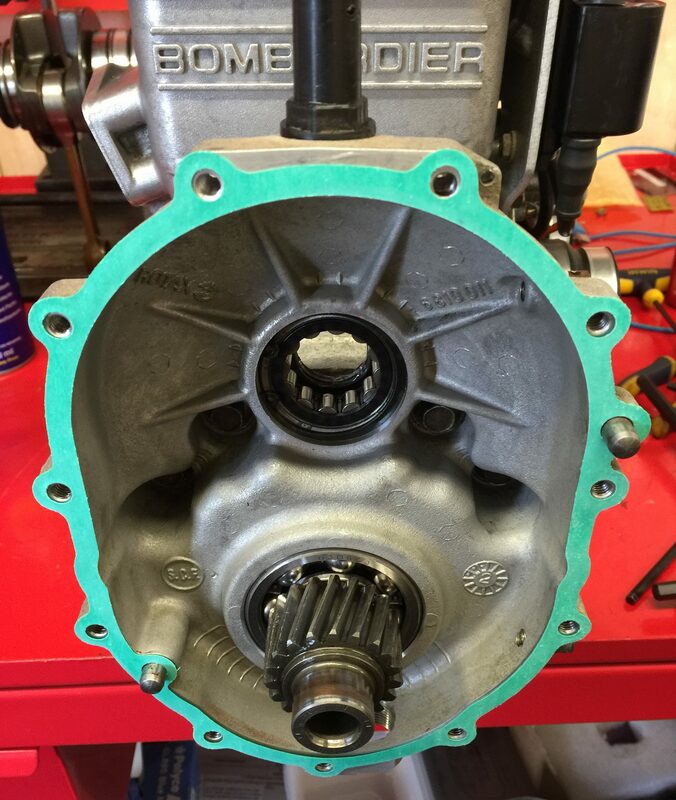 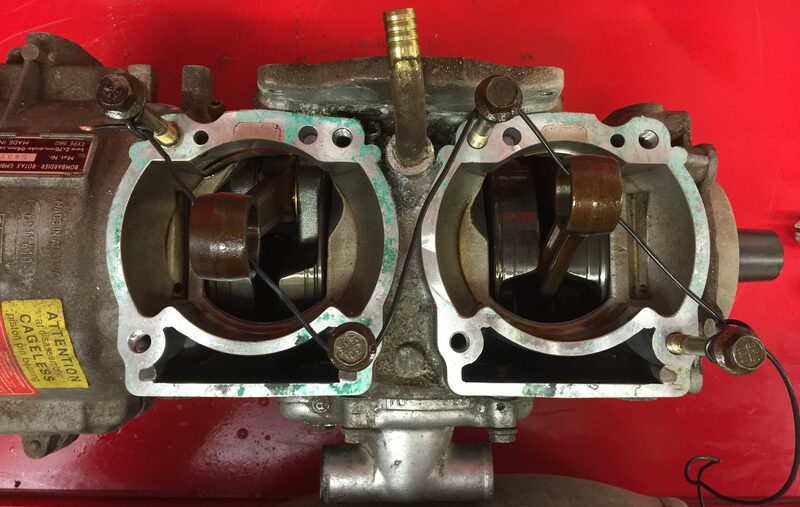 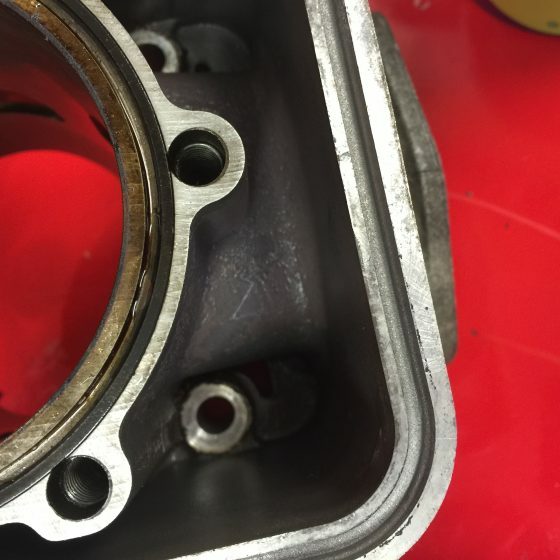 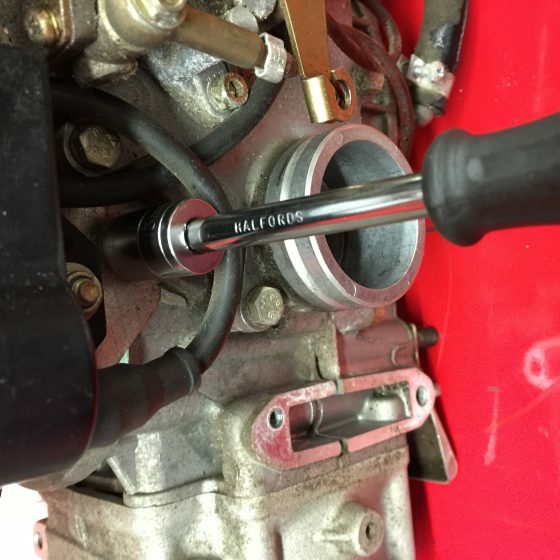 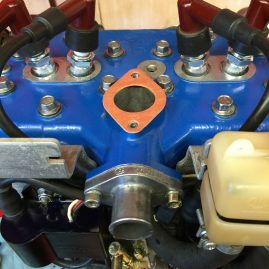 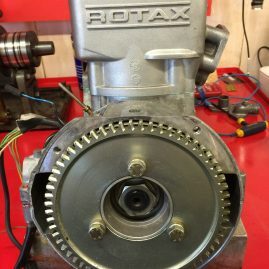 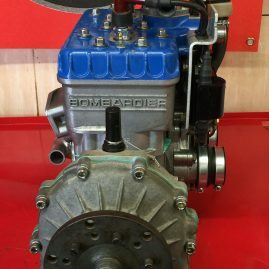 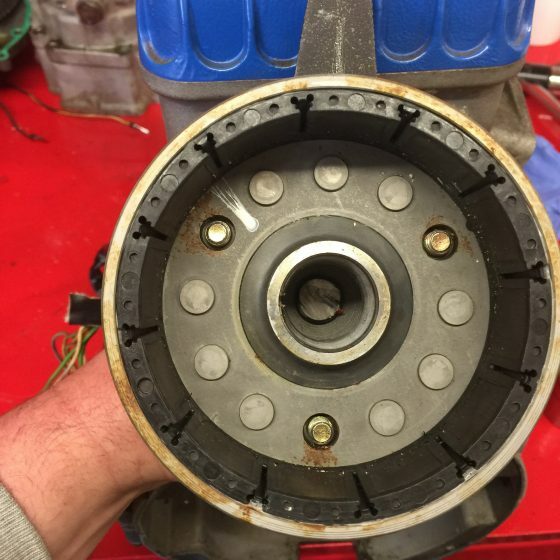 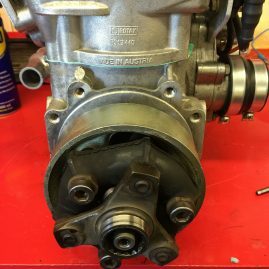 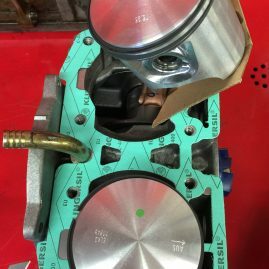 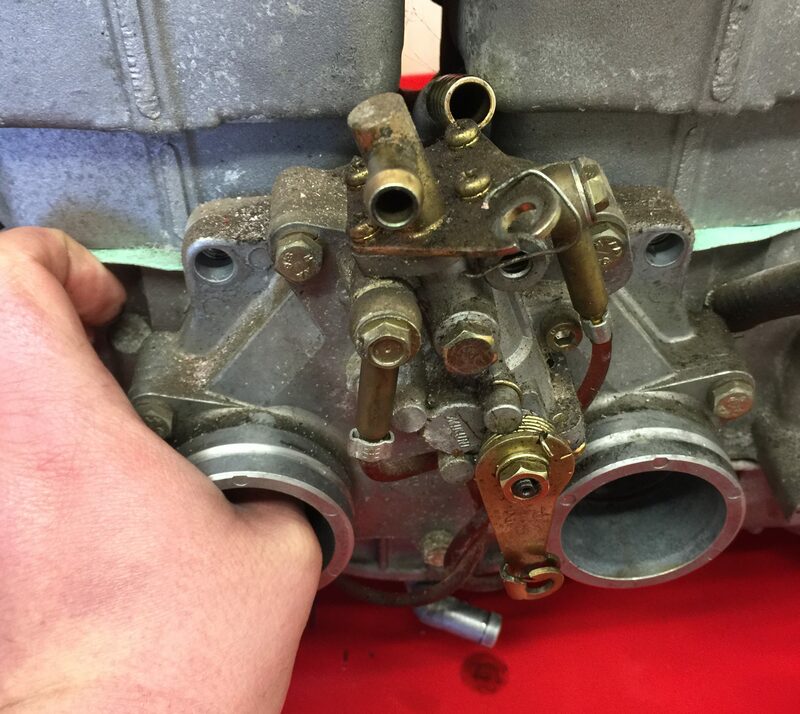 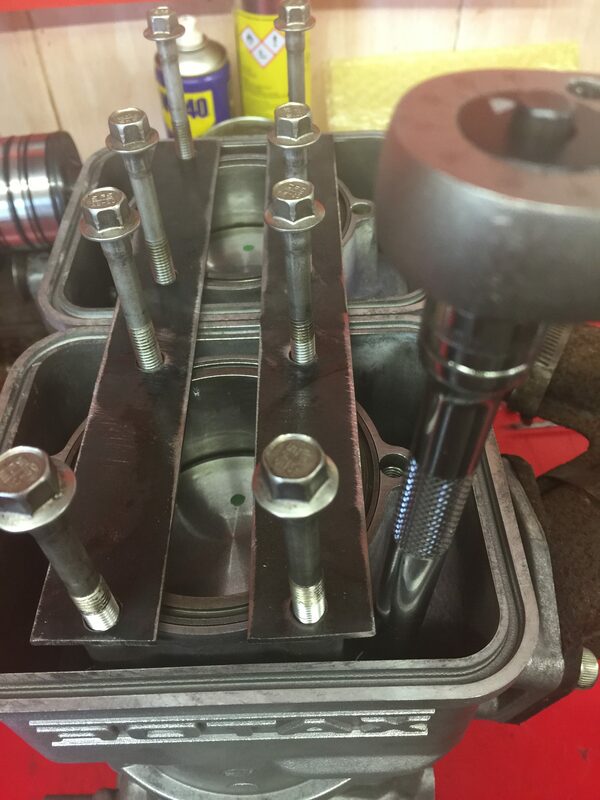 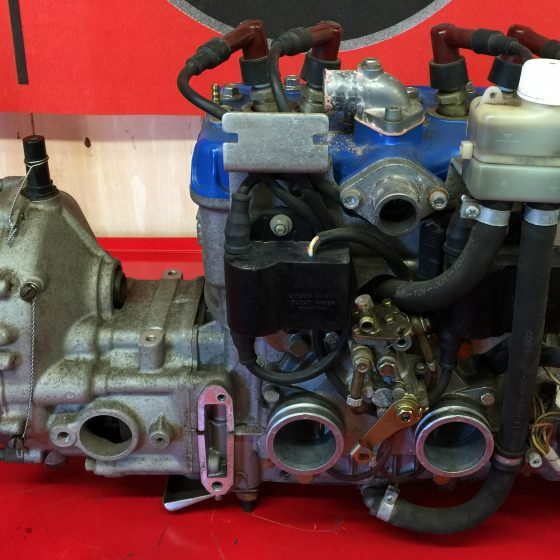 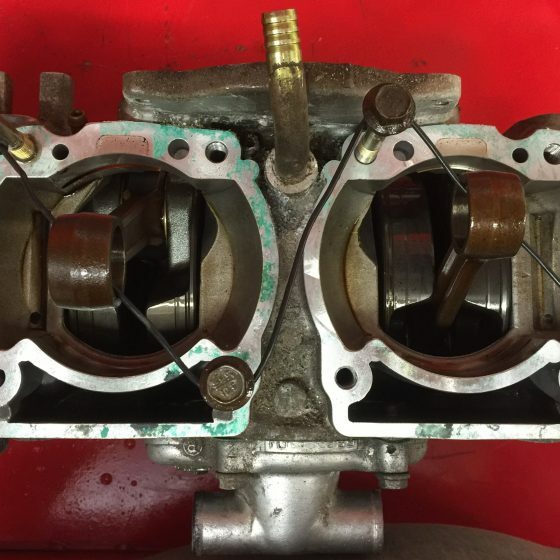 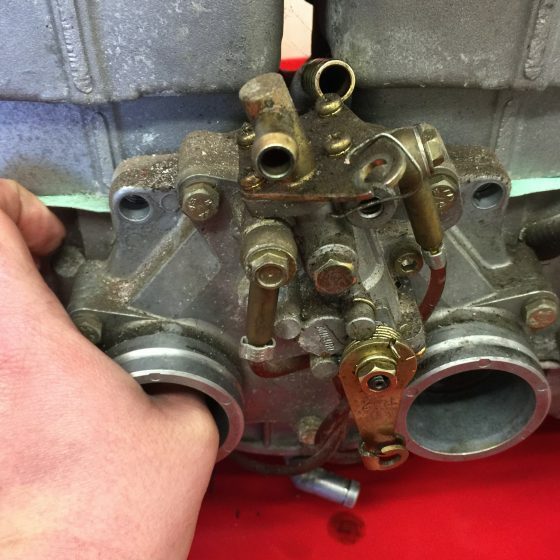 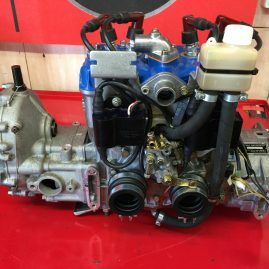 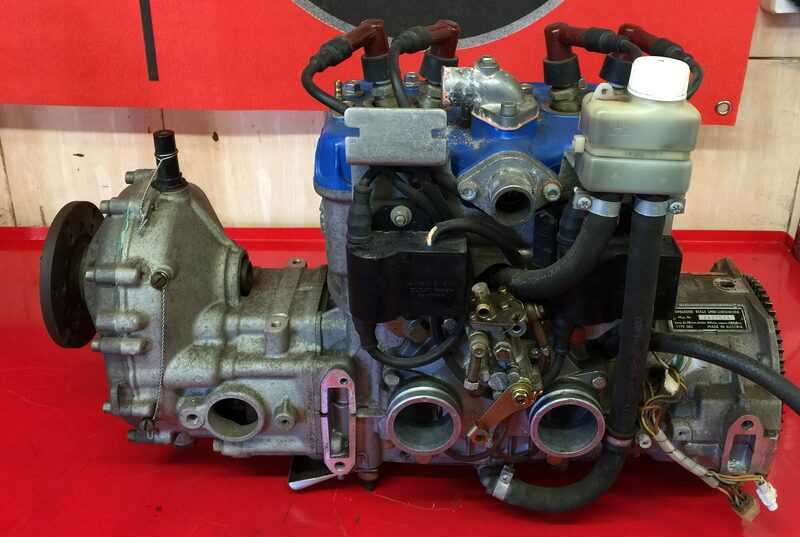 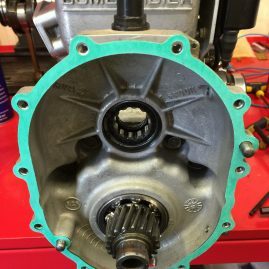 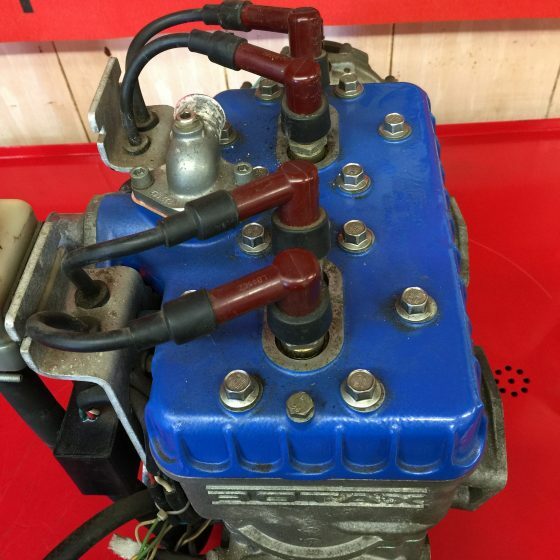 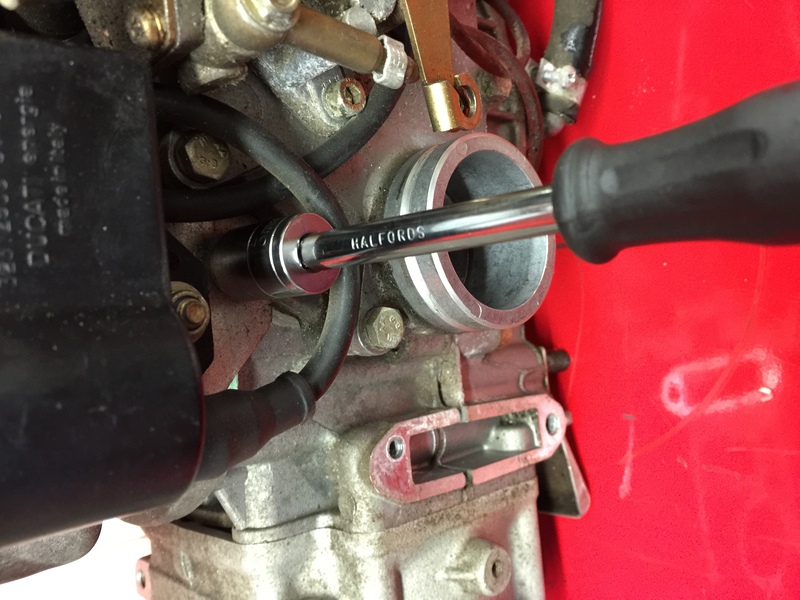 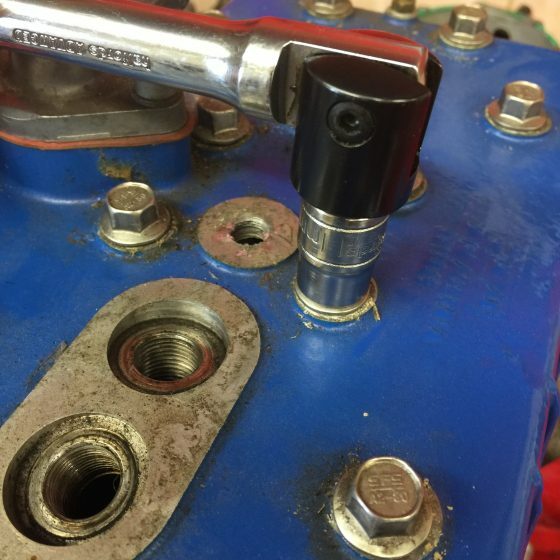 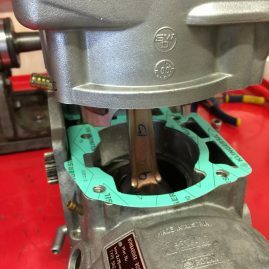 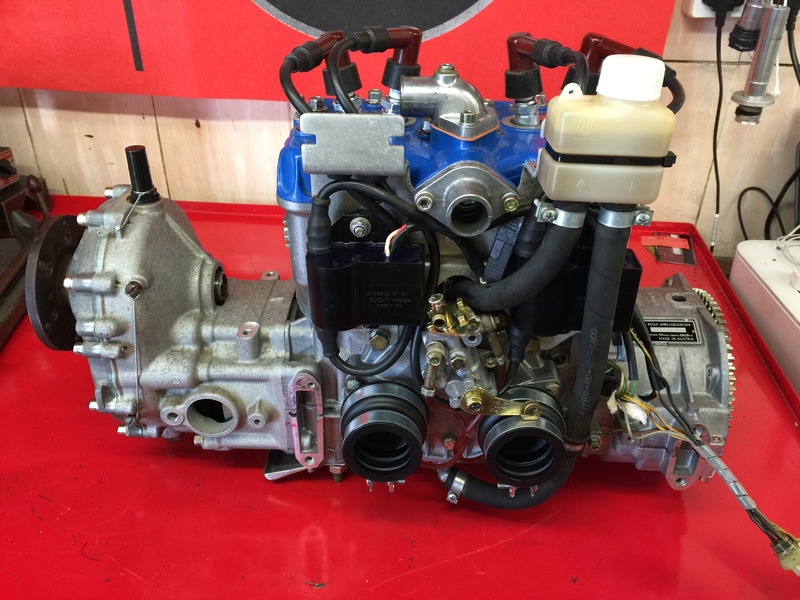 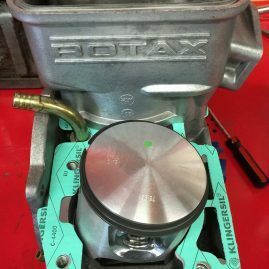 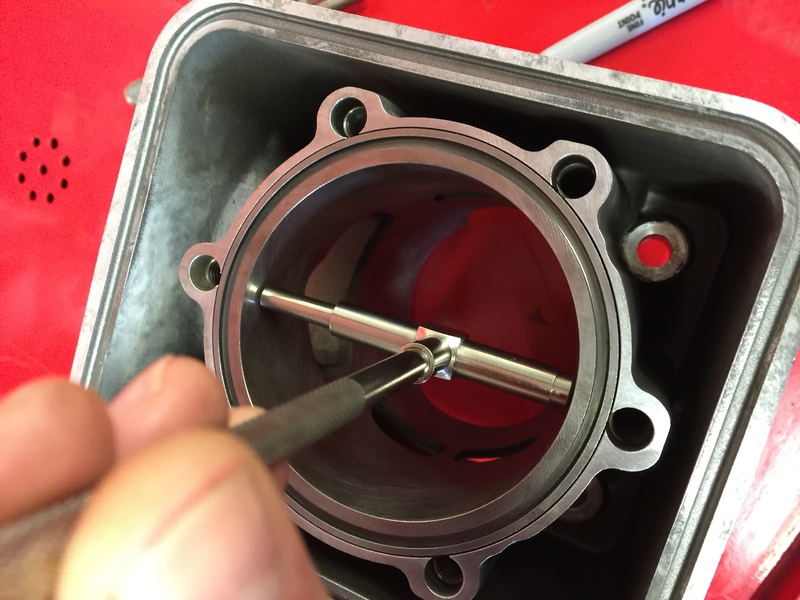 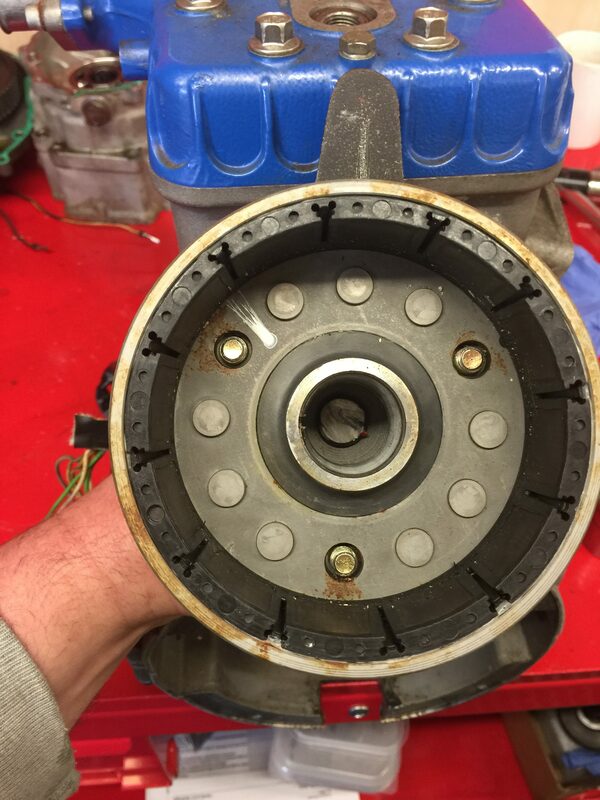 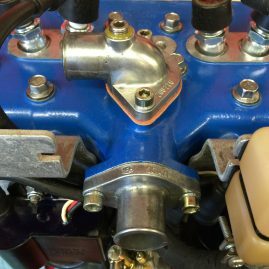 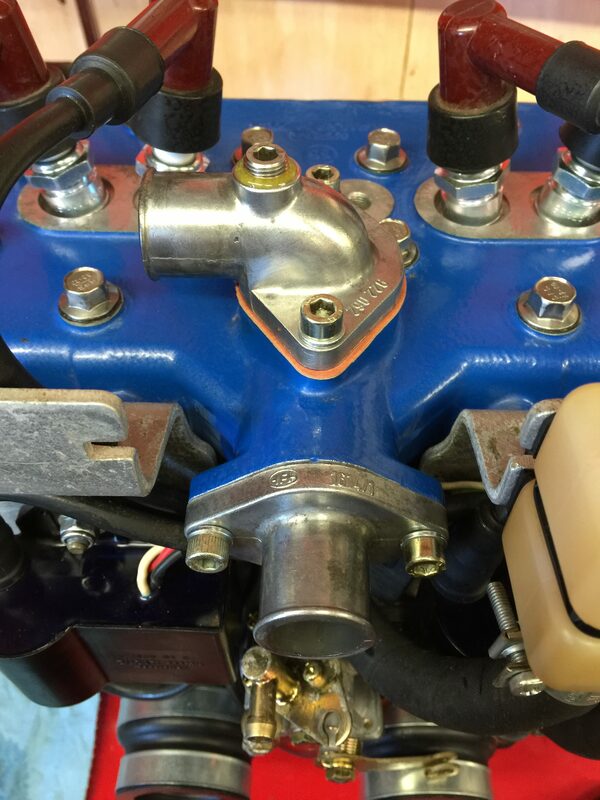 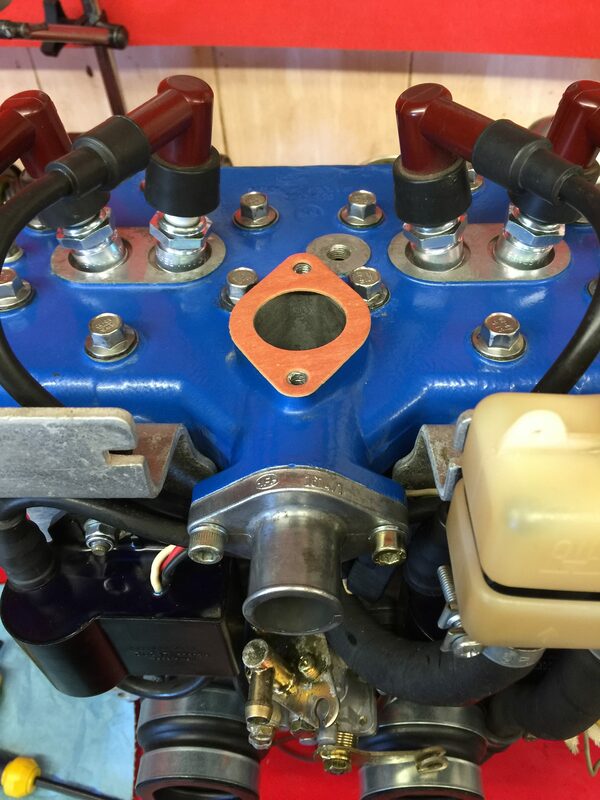 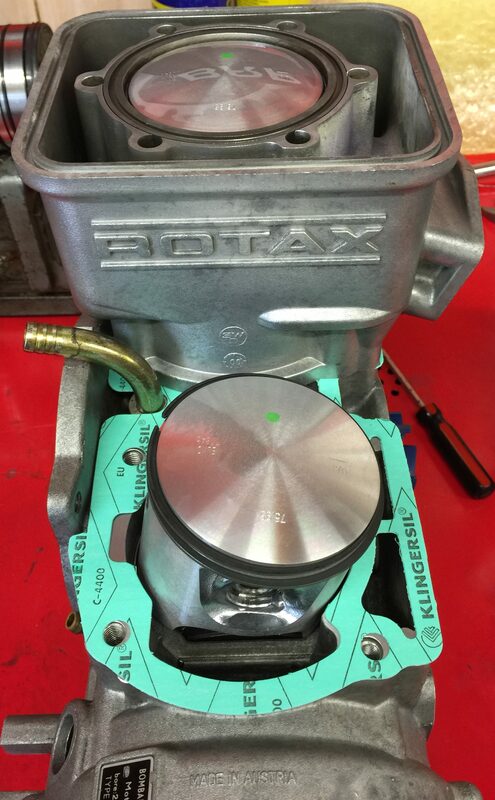 At Eccleston Aviation We specialise in Rotax 2 stroke servicing, repair & overhaul as well as the Rotax 912 series of aircraft engines. 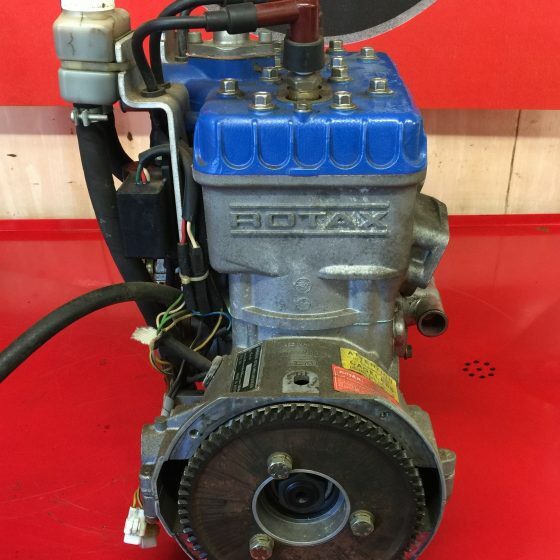 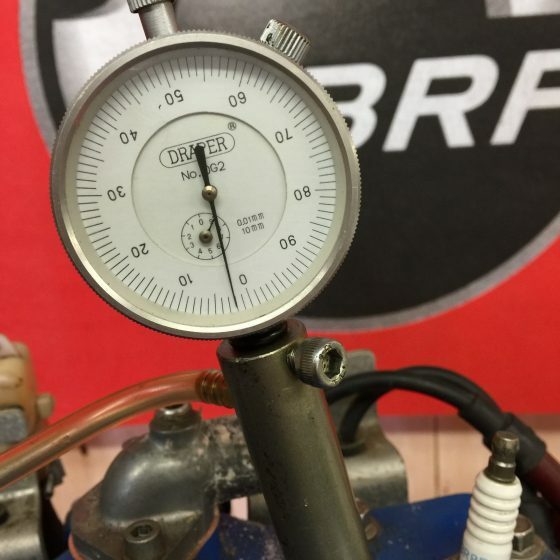 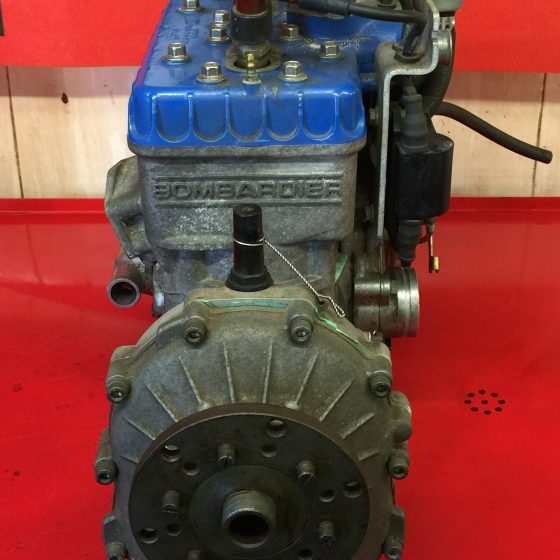 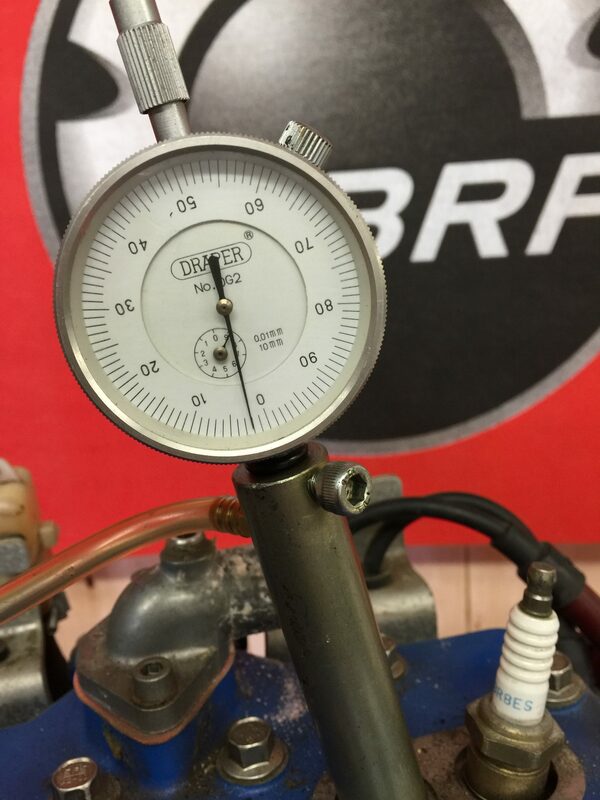 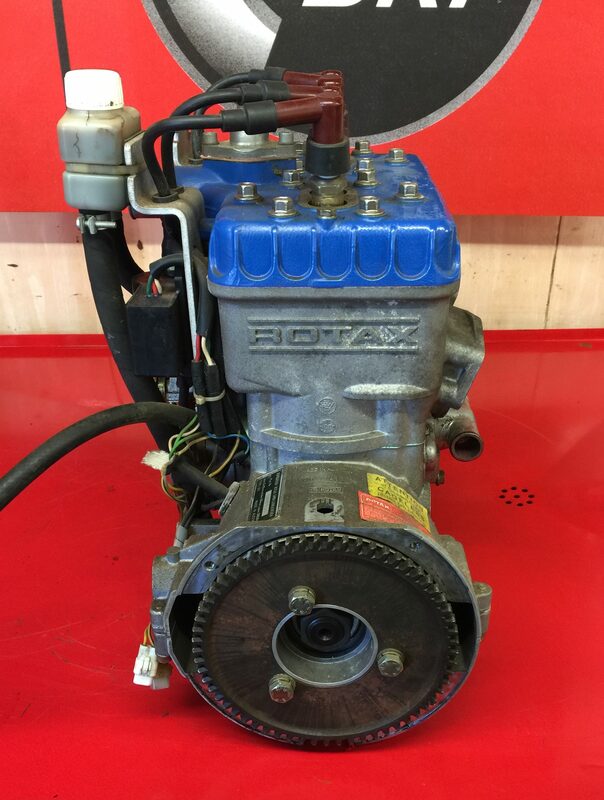 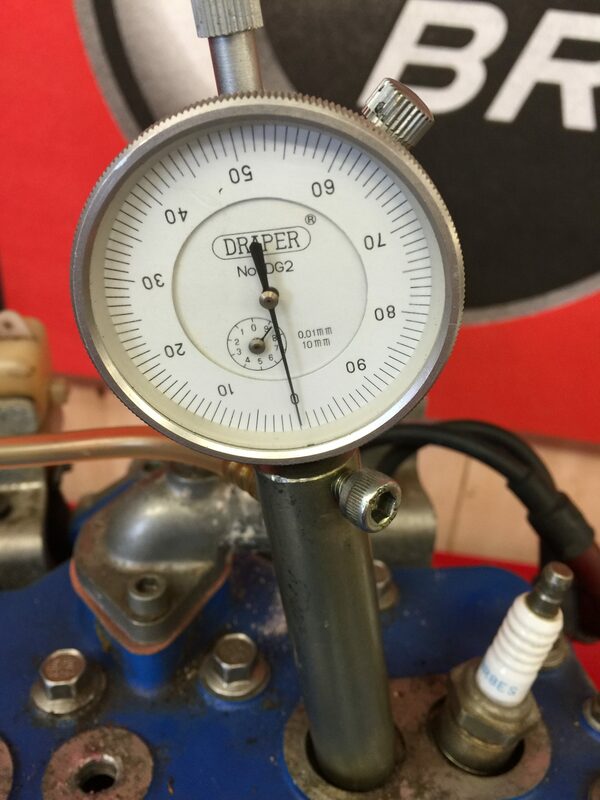 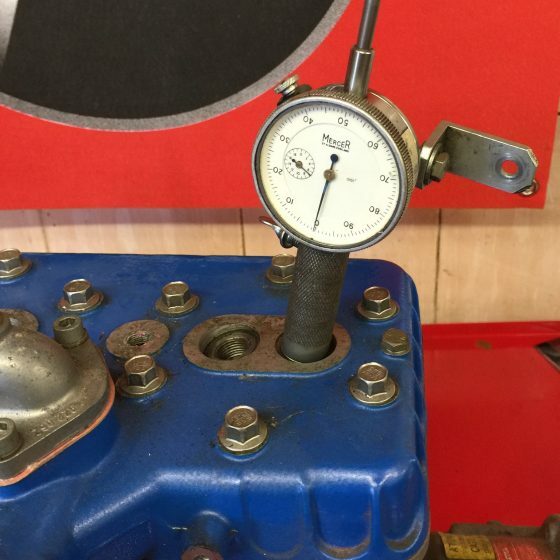 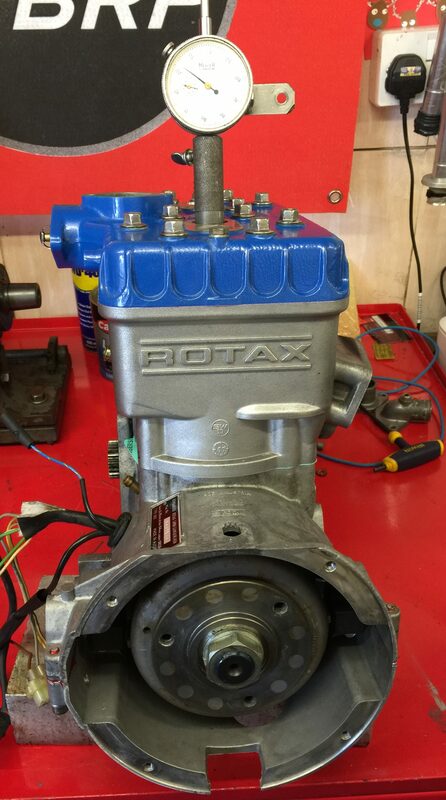 Here we have a Rotax 582 "99" that came in for a storage check, it had relatively low hours but the customer wanted it checked due to the prolonged period of time it had sat unused, and he was quite right to do so. 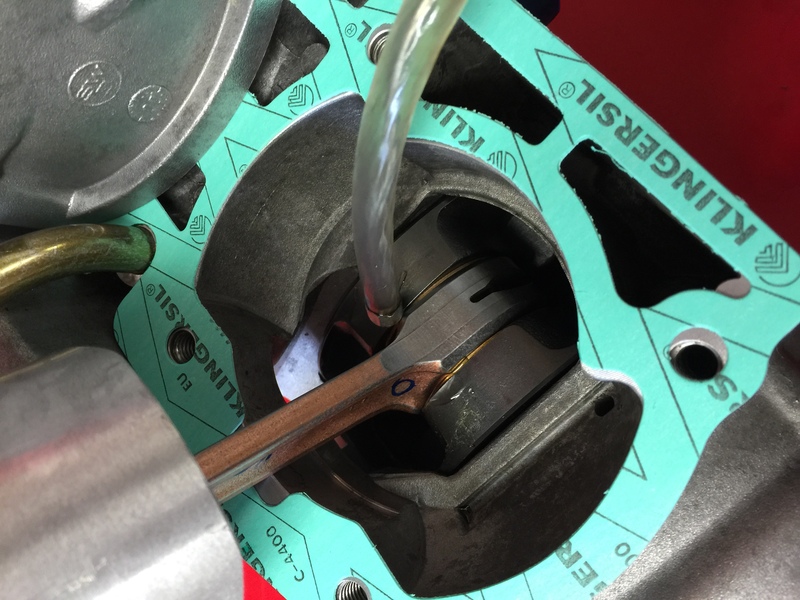 Firstly we undertake a CBCT to take a reading, this engine came in at 0.02mm which is well within the limitations specified. 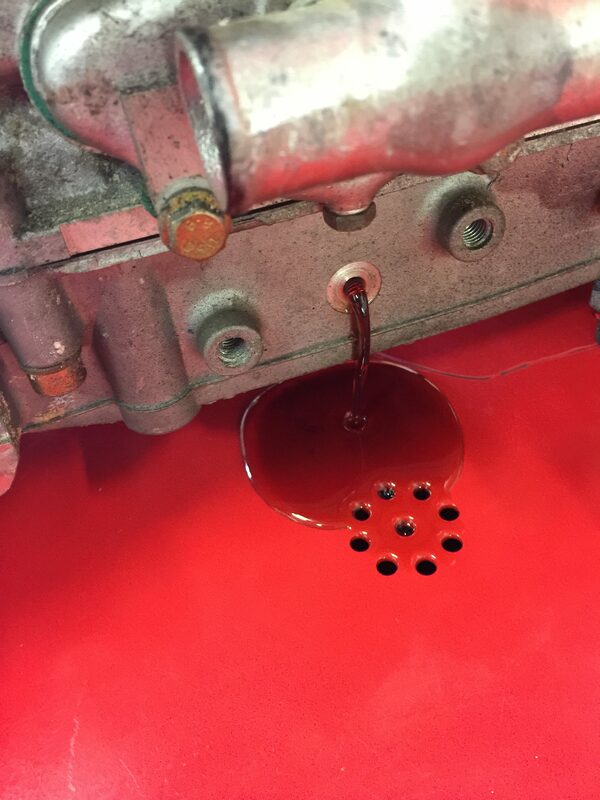 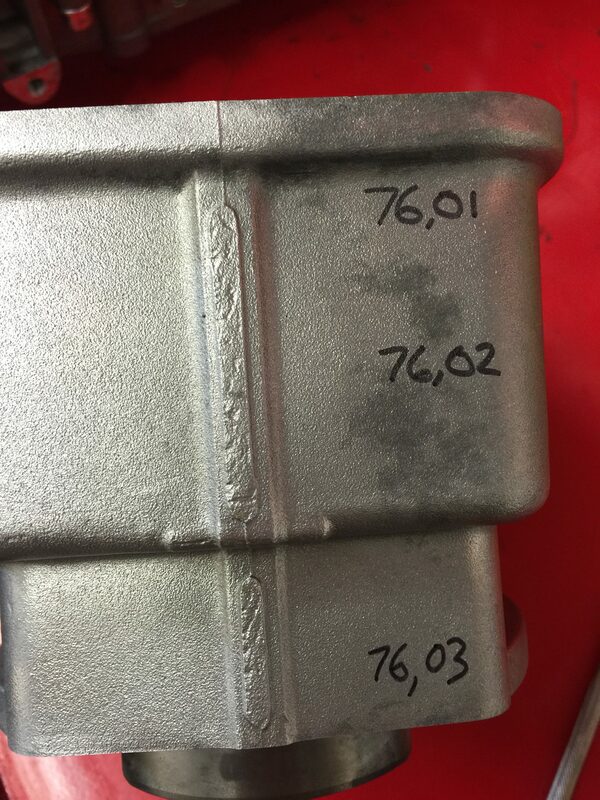 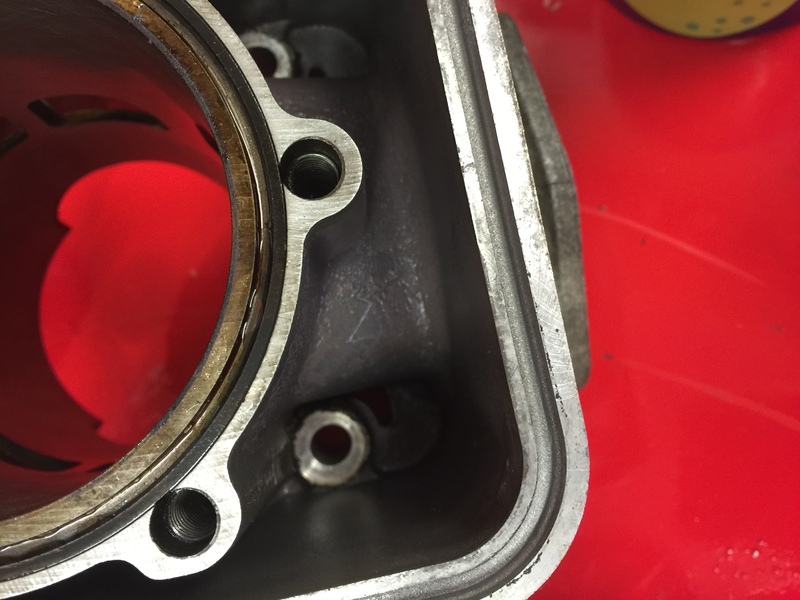 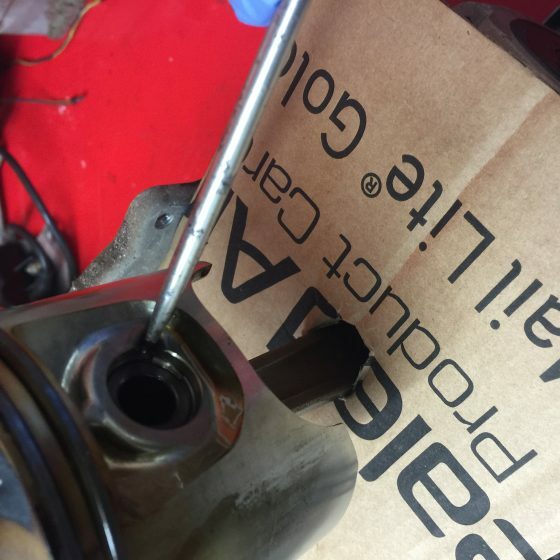 We start by removing the E-Boxes & support plate & drain out the rotary valve oil to remove the oil tank. 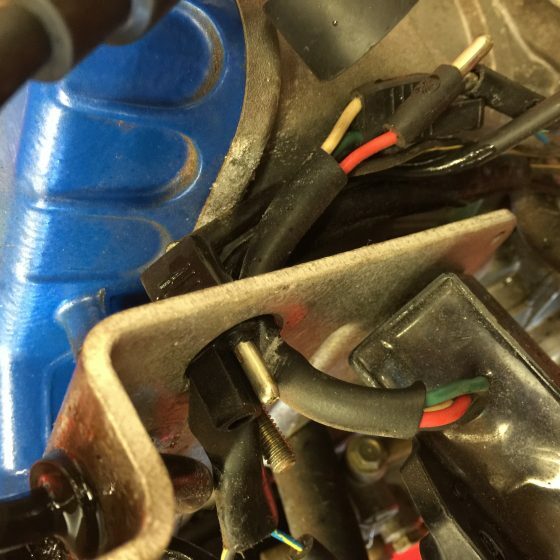 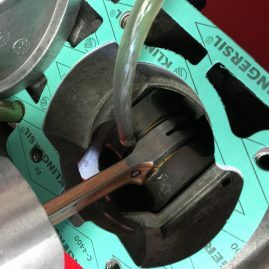 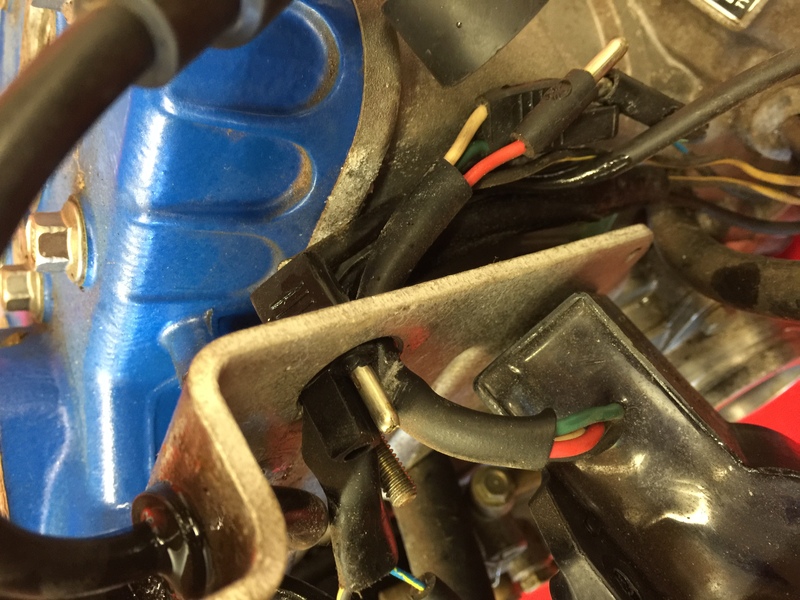 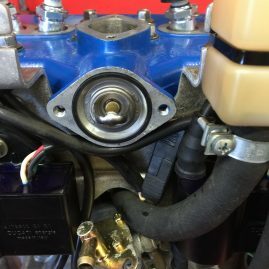 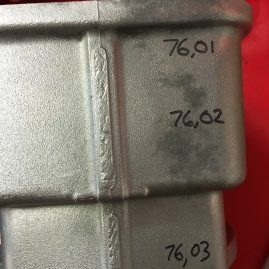 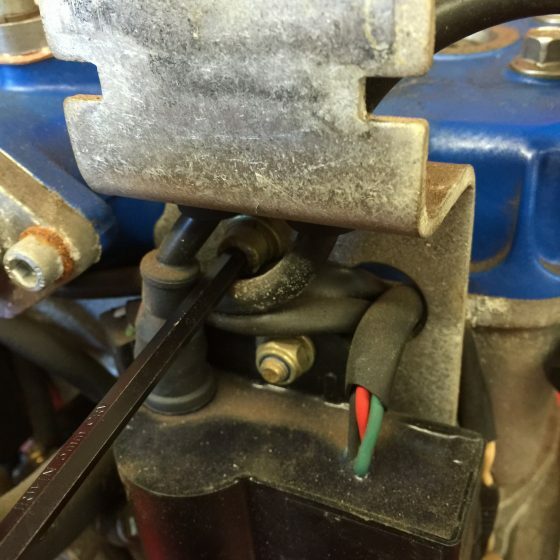 Great car has to be taken not to damage any wiring, it is easiest to remove the E-Box closest to the mag side of the engine to "route" the wiring out once the support plate has been freed from the engine. 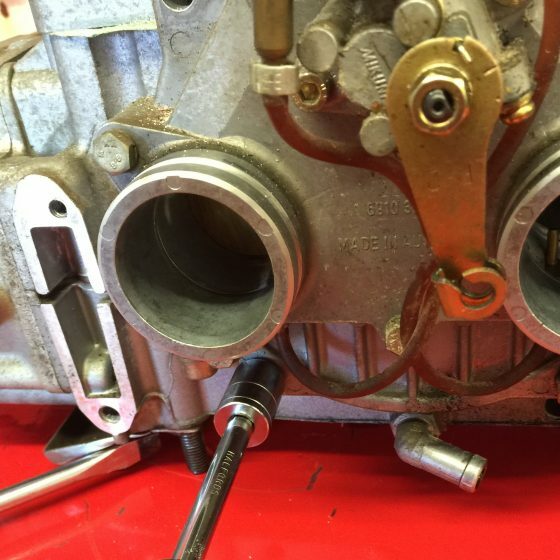 Once the support plate has been removed, find T.D.C with a suitable D.T.I, then remove the 2 remaining bolts from the induction housing. 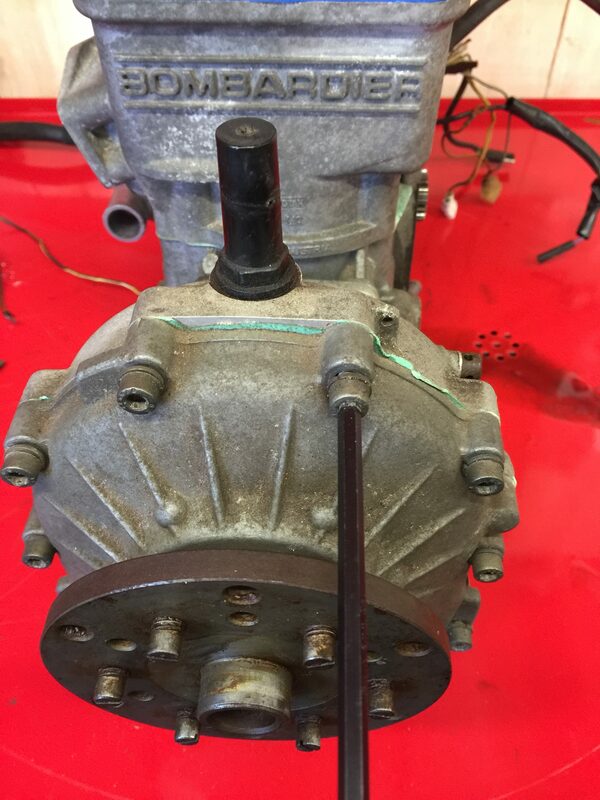 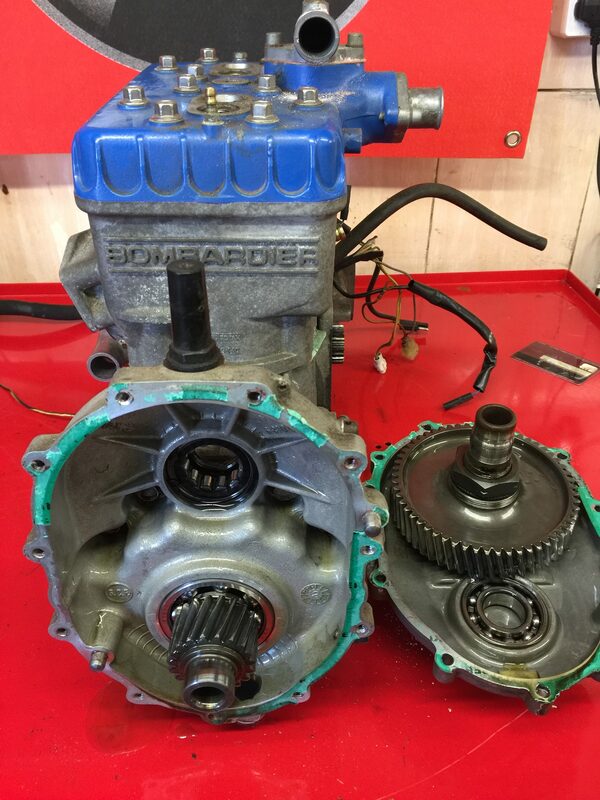 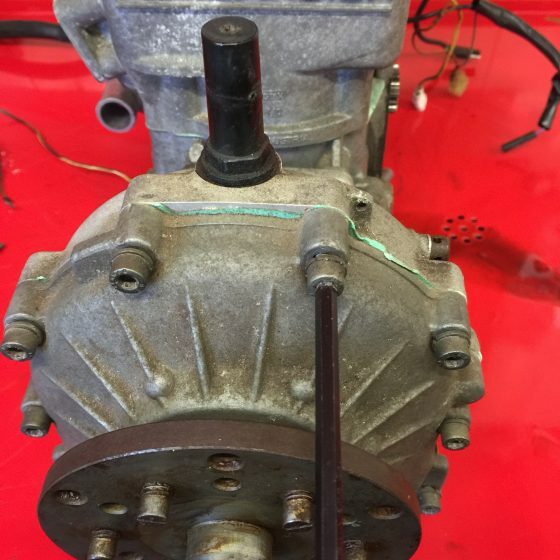 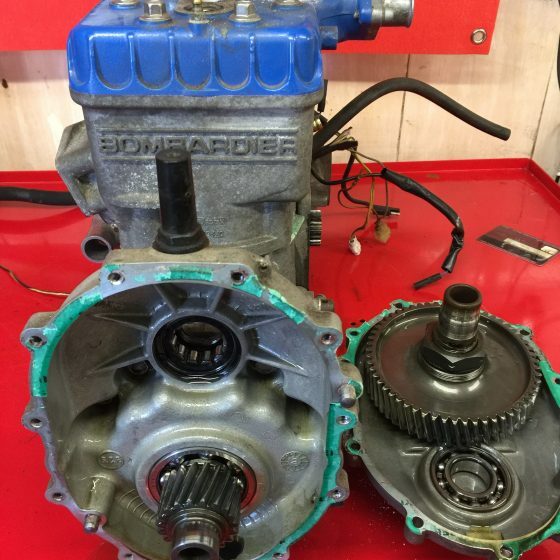 Next we remove the gearbox, in this instance it is a "C" type gearbox. 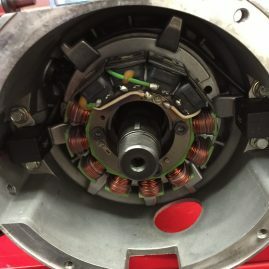 Next we remove the electric start ring gear & hydo damper, note that this are also secured into place using loctite 648. 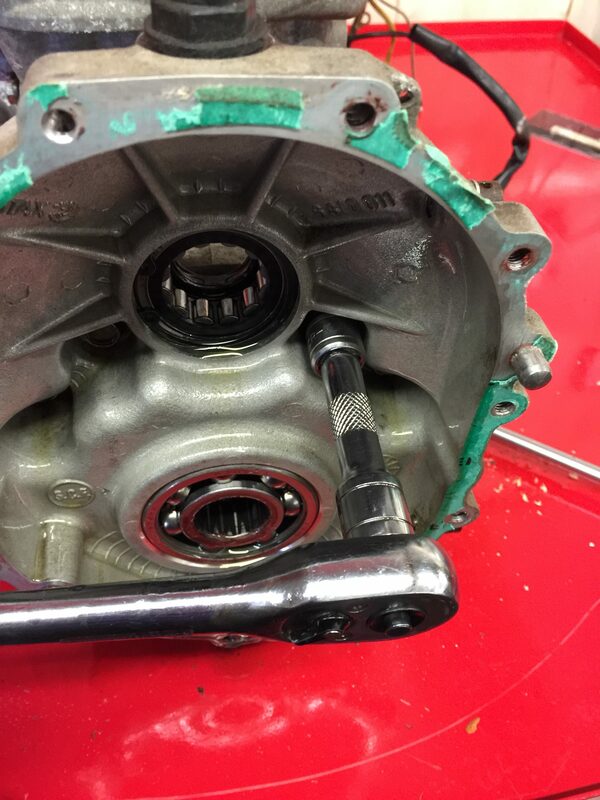 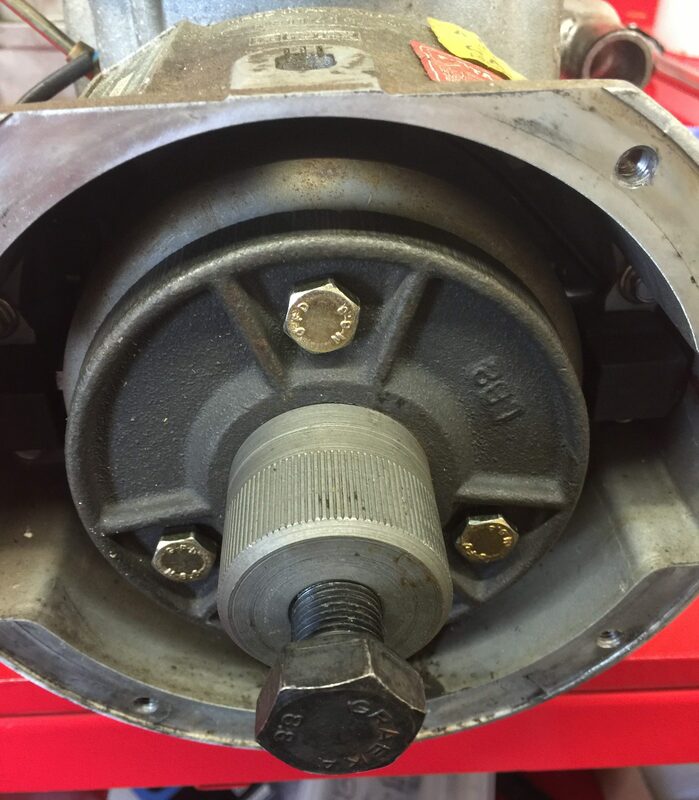 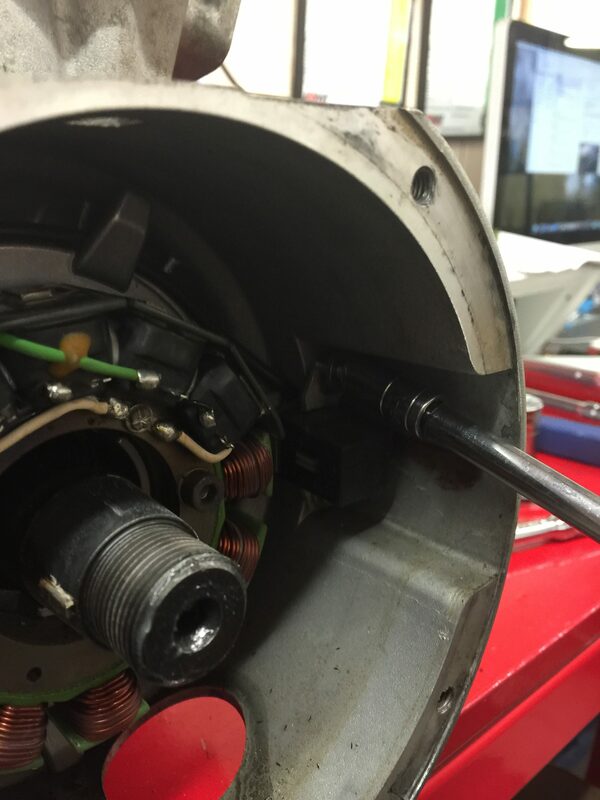 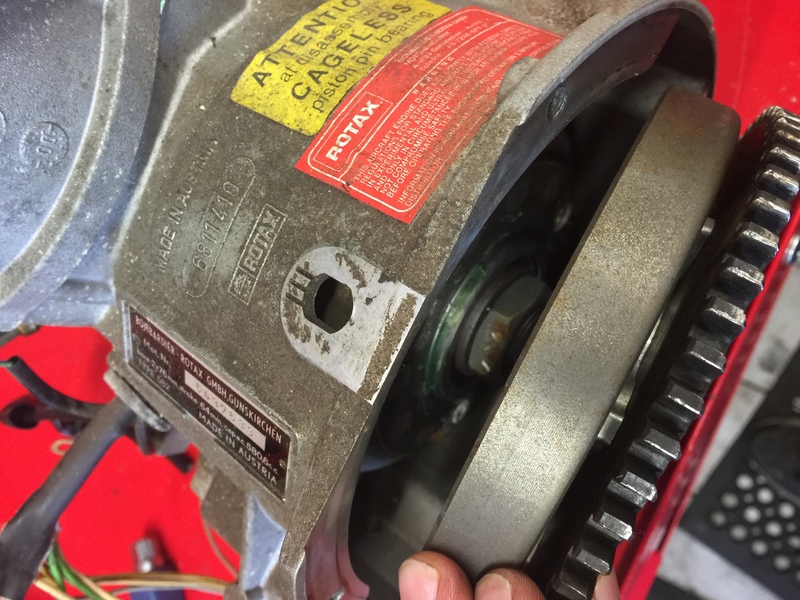 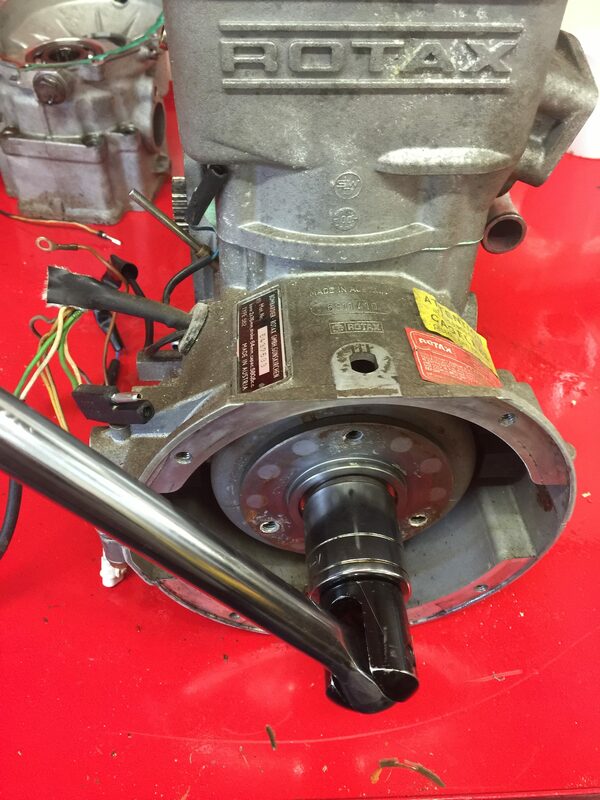 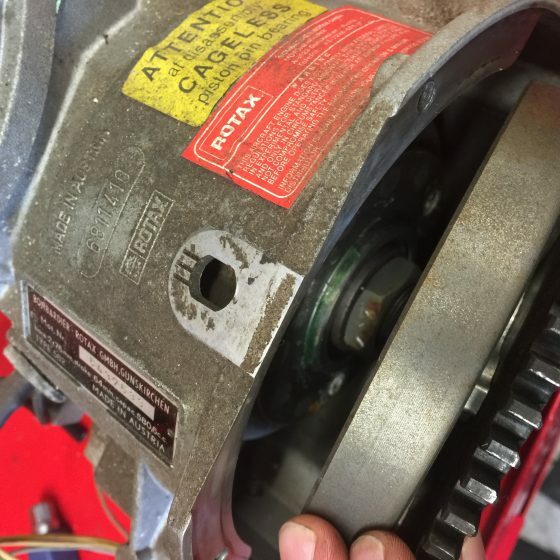 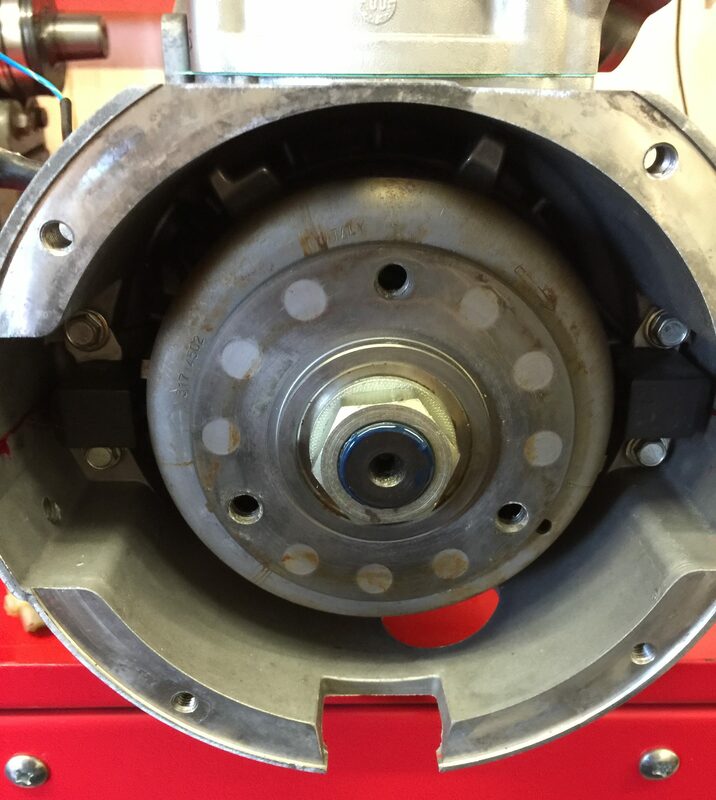 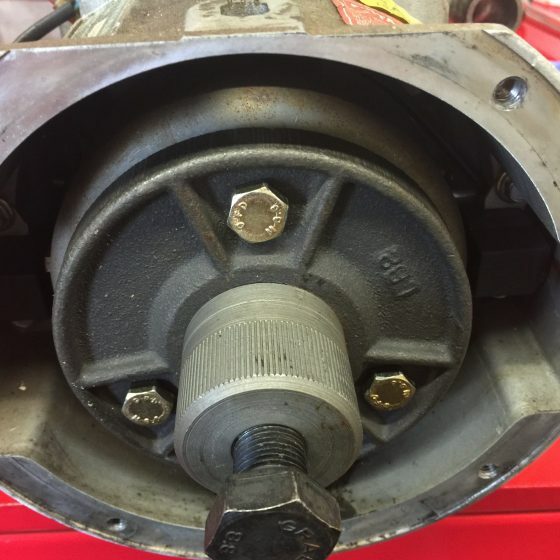 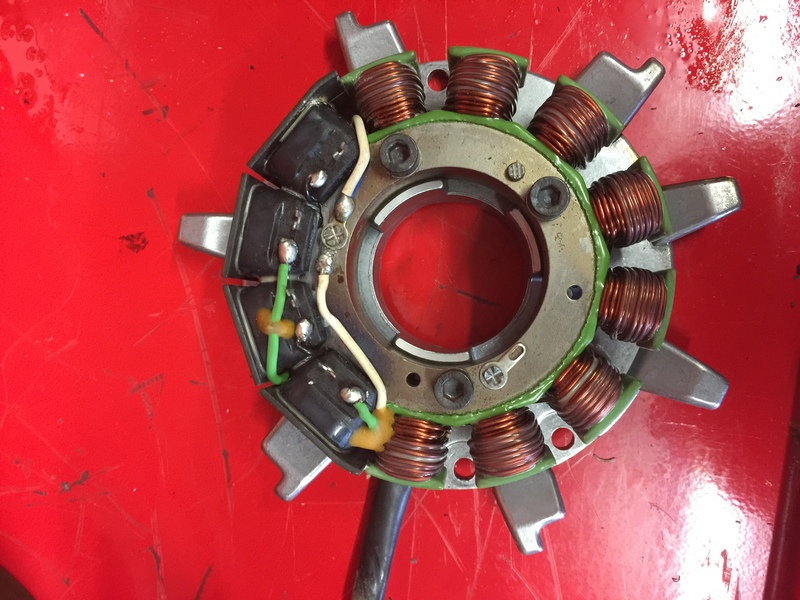 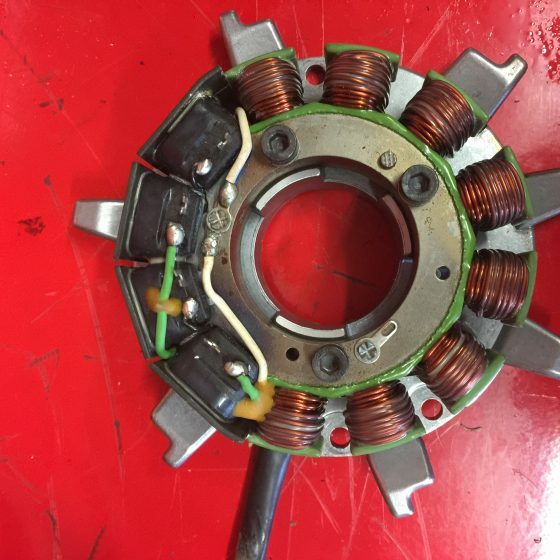 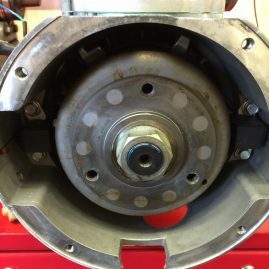 The magneto is then removed using the special Rotax flywheel puller. 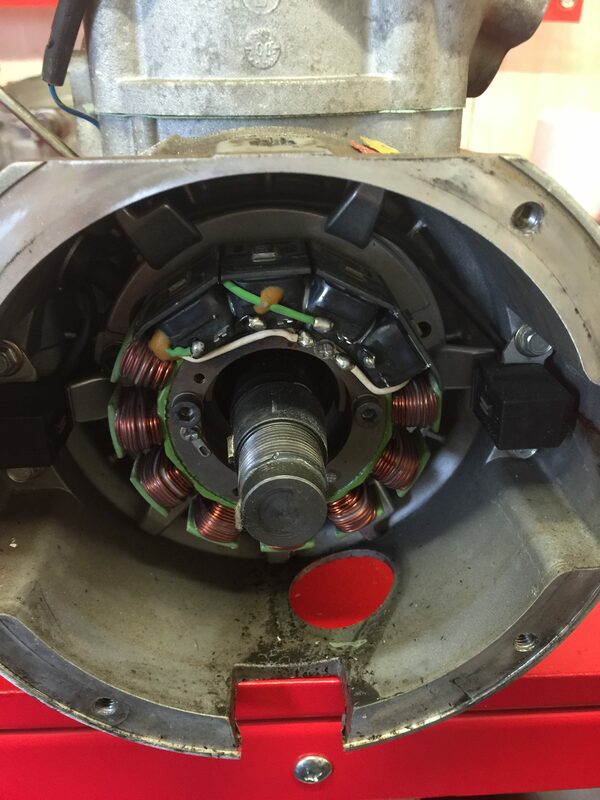 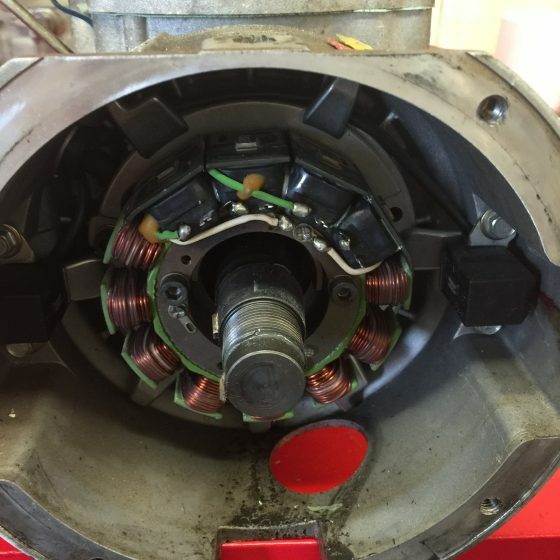 With the flywheel removed it is now possible to remove all the electrics from the bell housing. 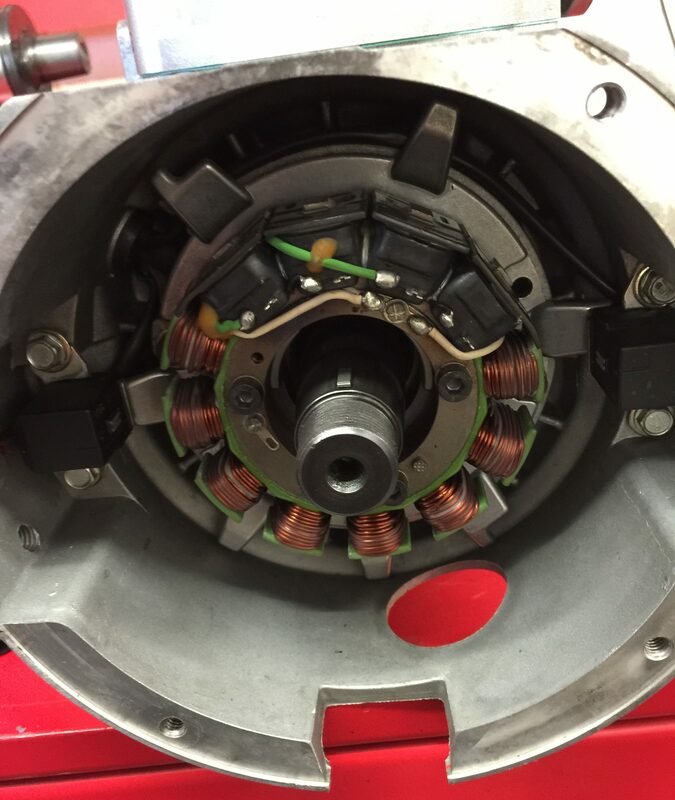 Once removed I would recommend doing a resistance check on all the electrics. 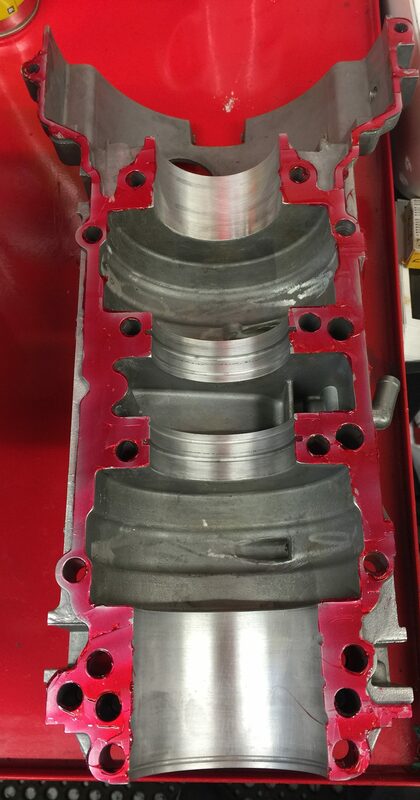 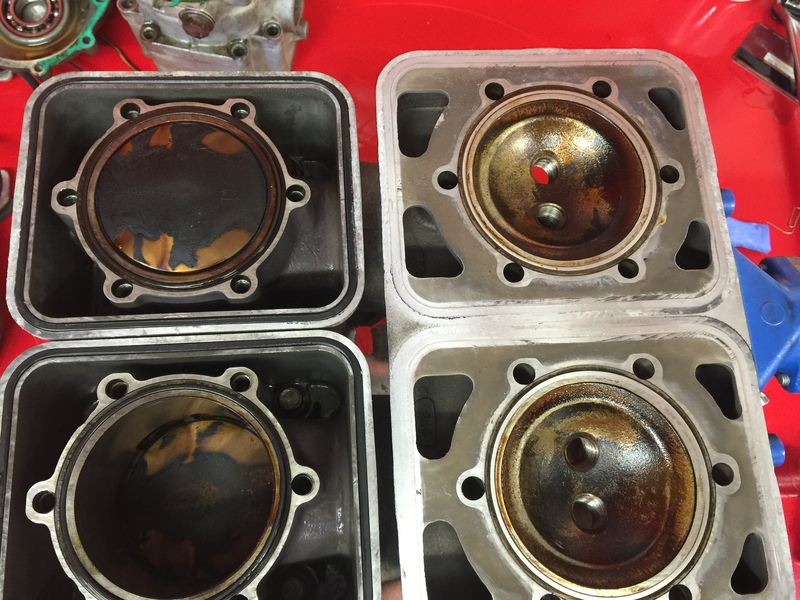 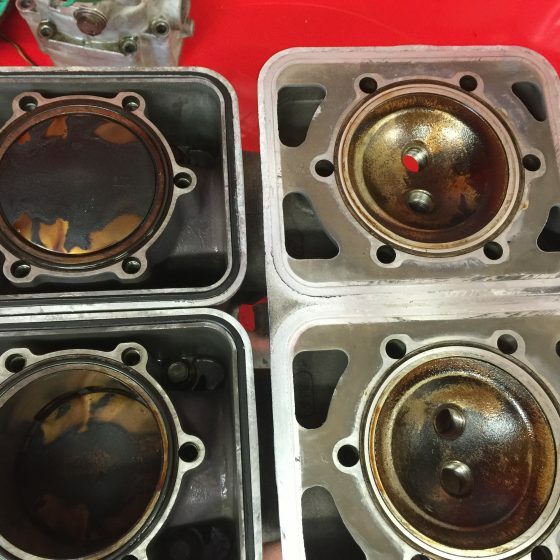 Now that we are down to the bare block so to speak, we remove the cylinder head & barrels. 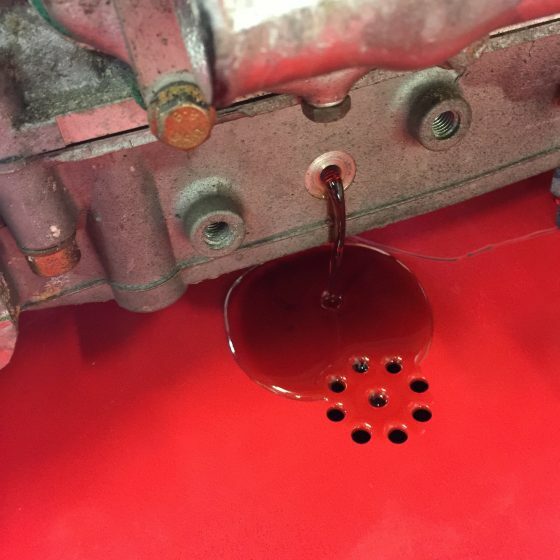 It is well worth noting that even though the water has been drained from the engine there will most likely still be water inside the barrels & it is recommended that this be removed by syringe or paper towels before removing the barrels. 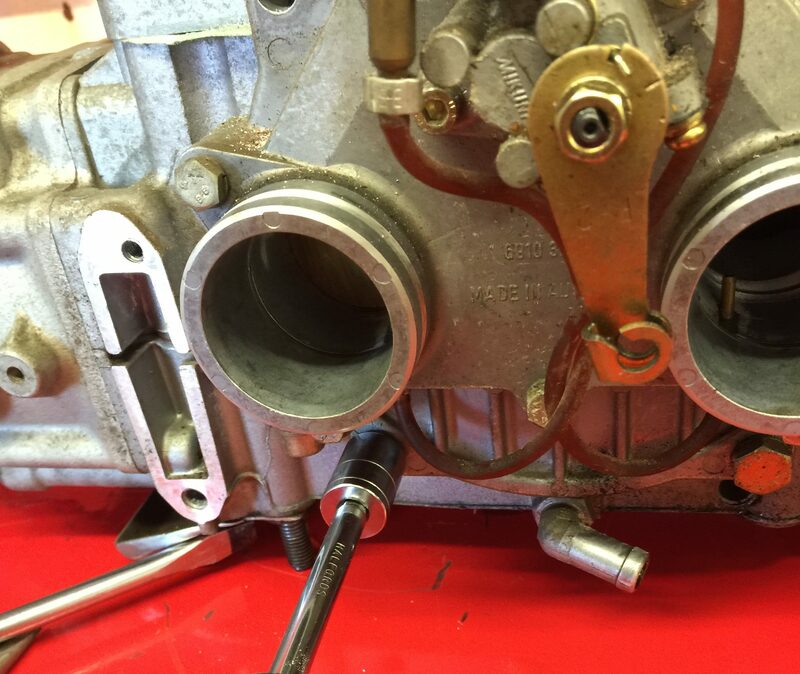 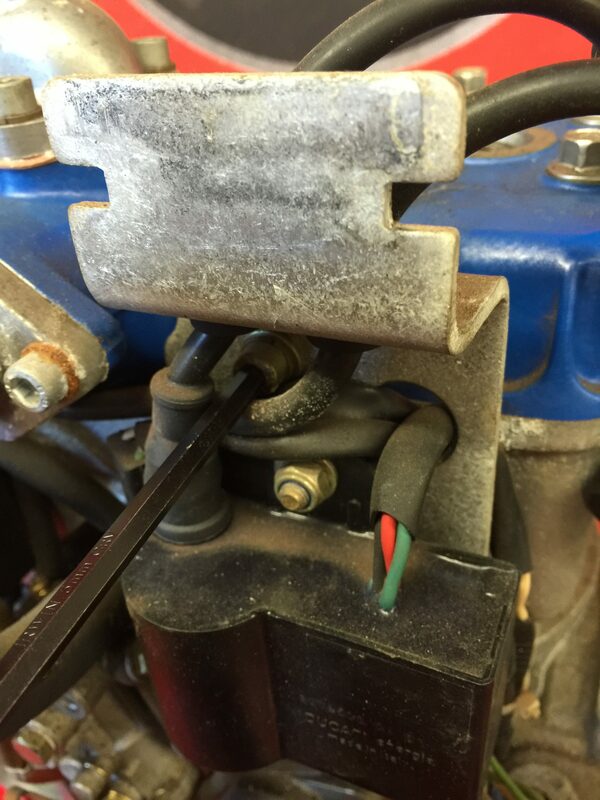 With the pistons removed we like to wire up the con rods to save from impact on the casings while splitting. 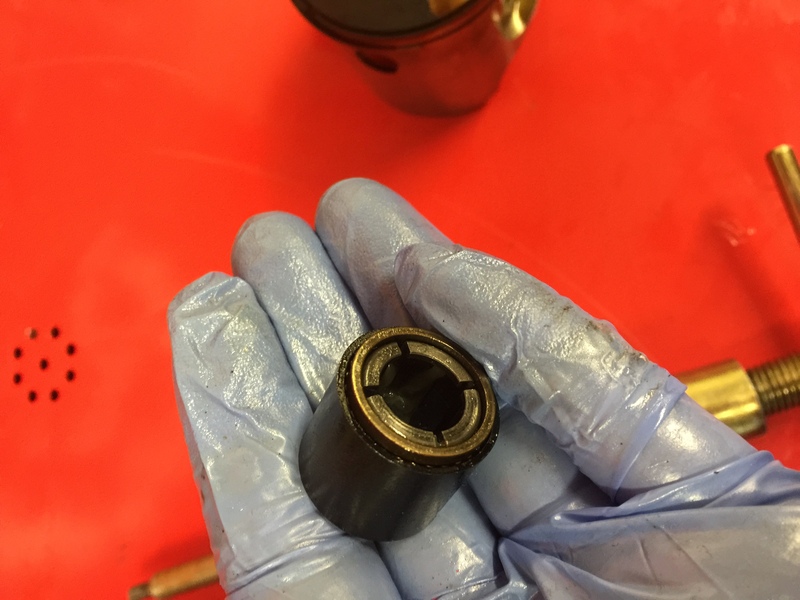 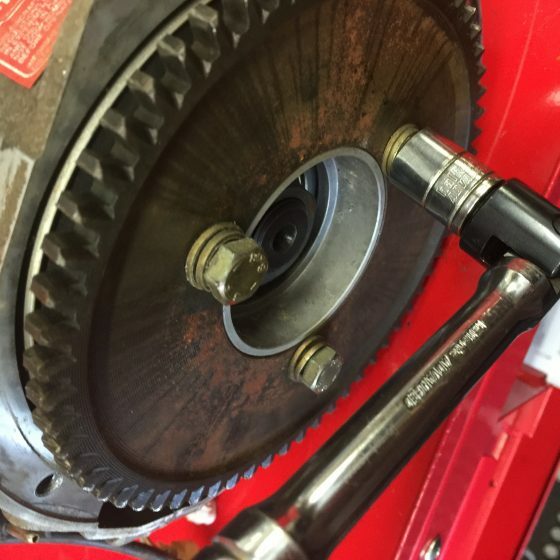 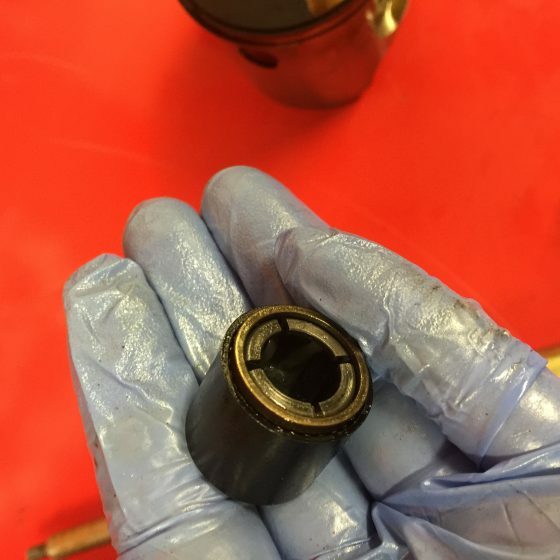 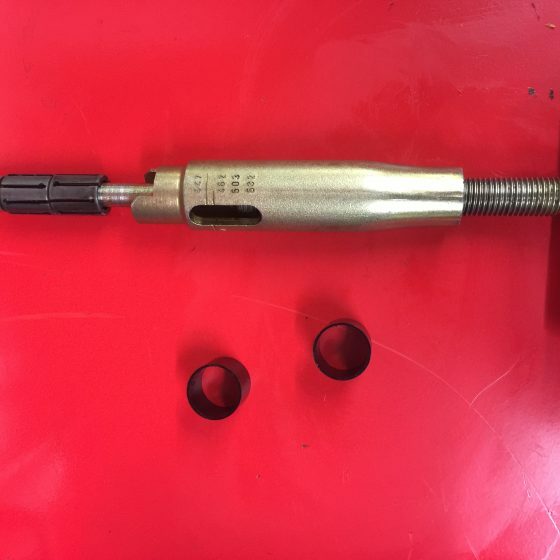 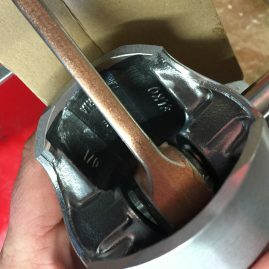 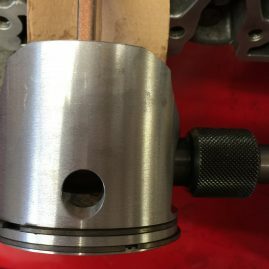 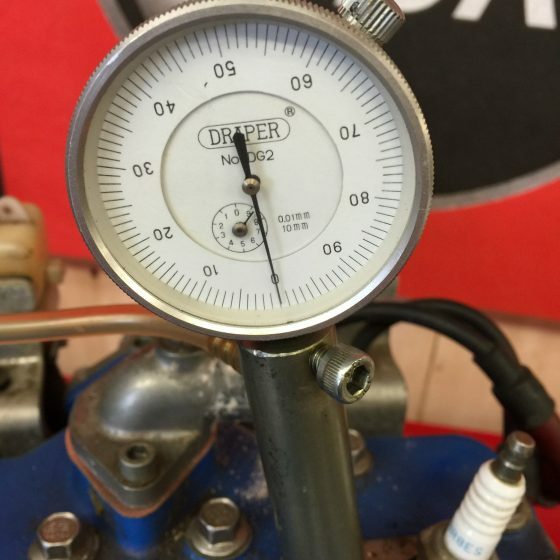 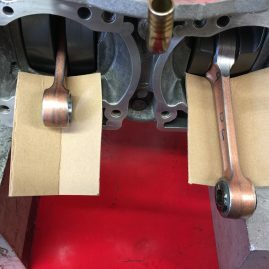 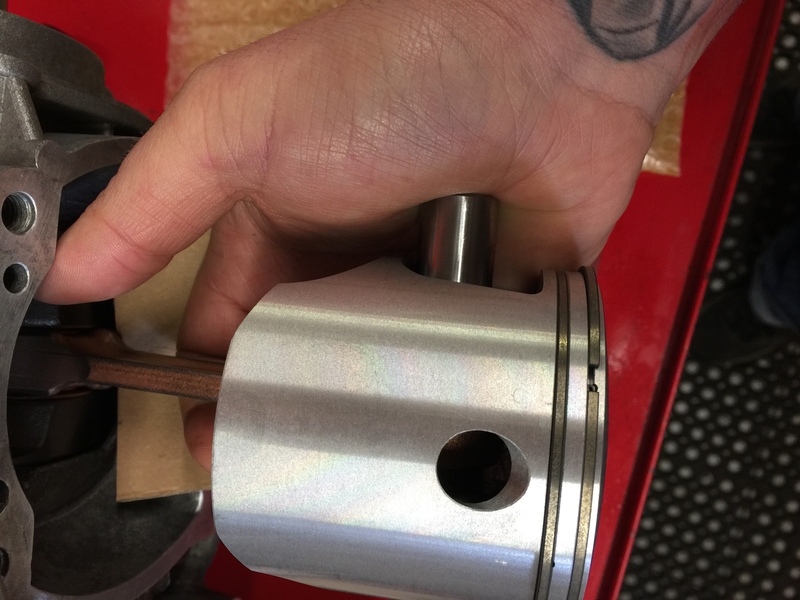 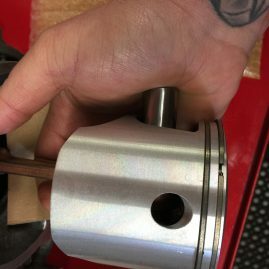 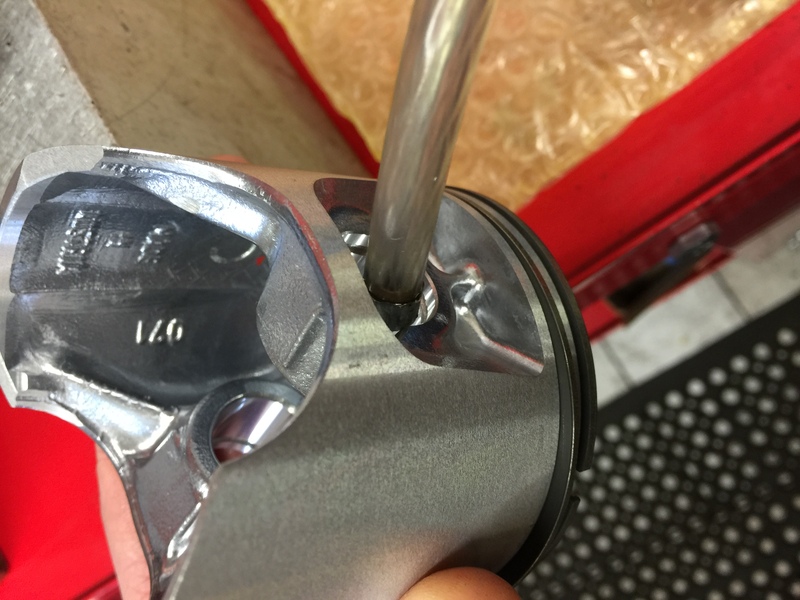 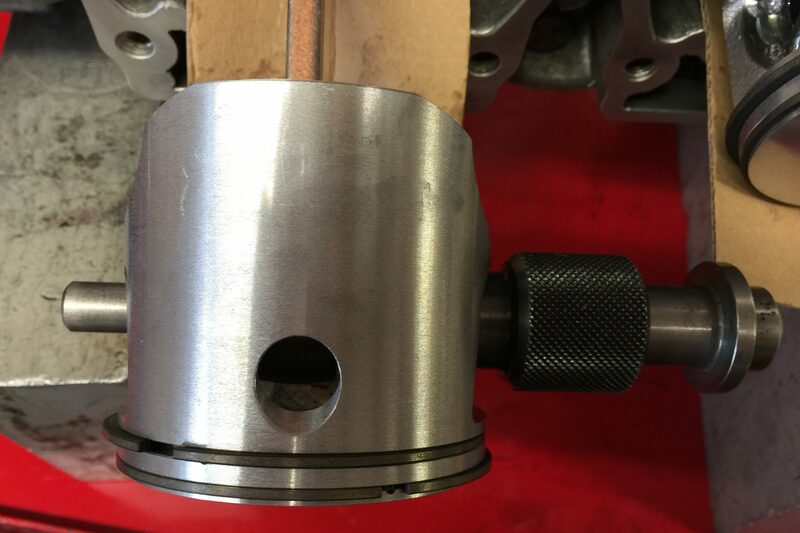 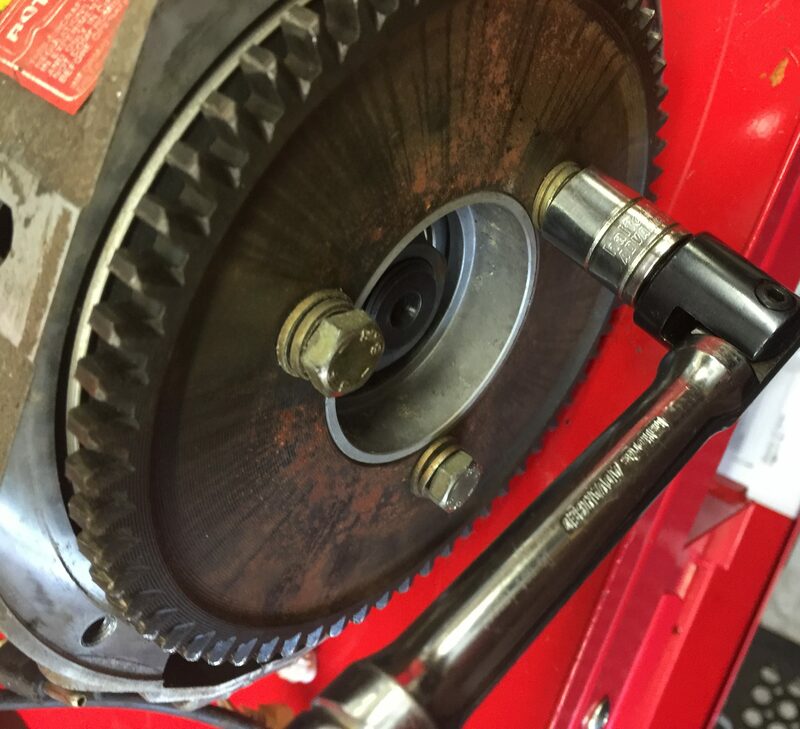 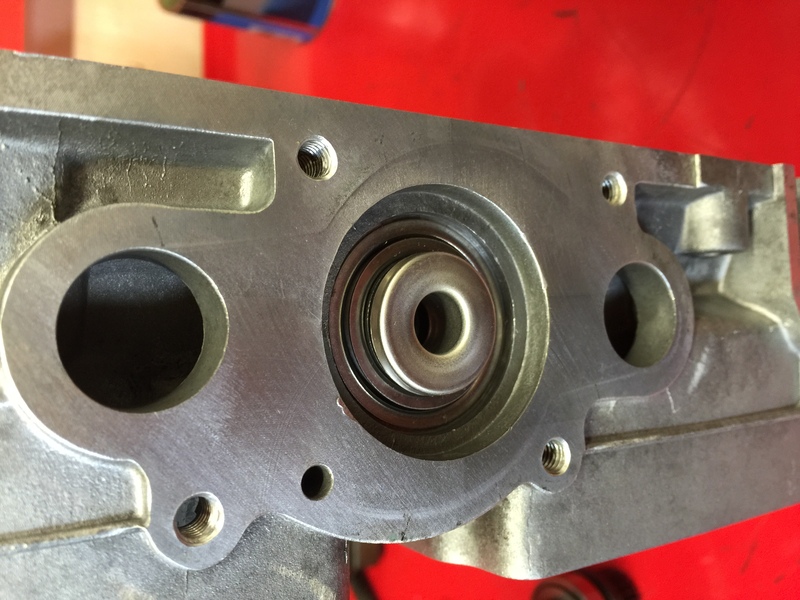 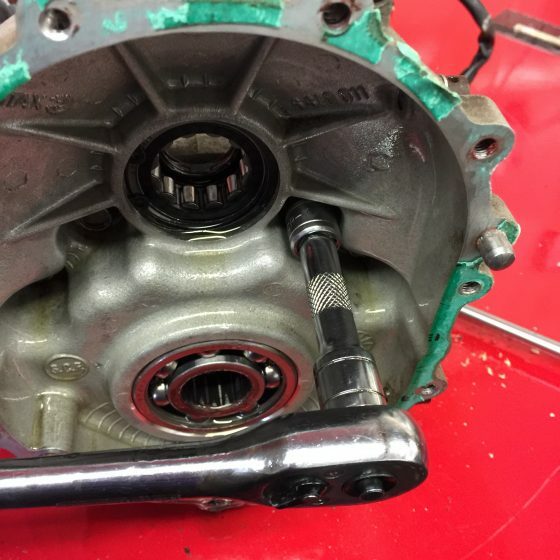 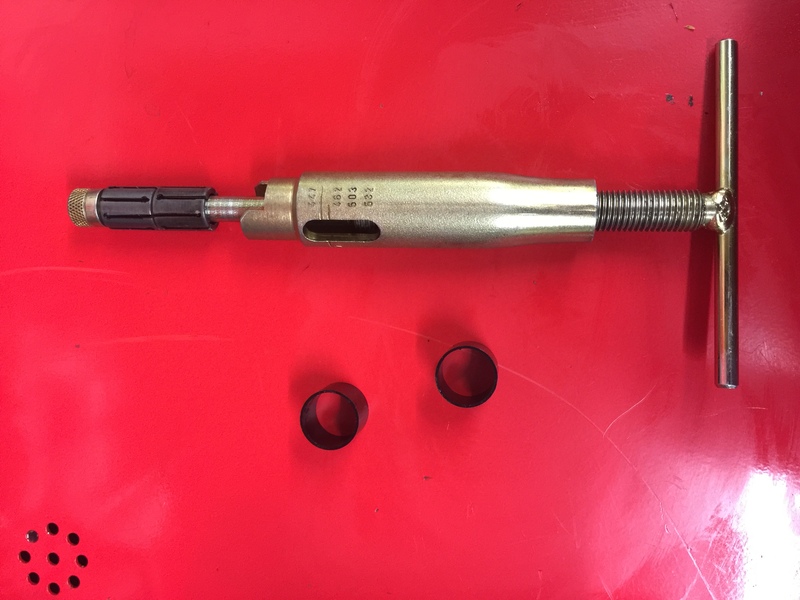 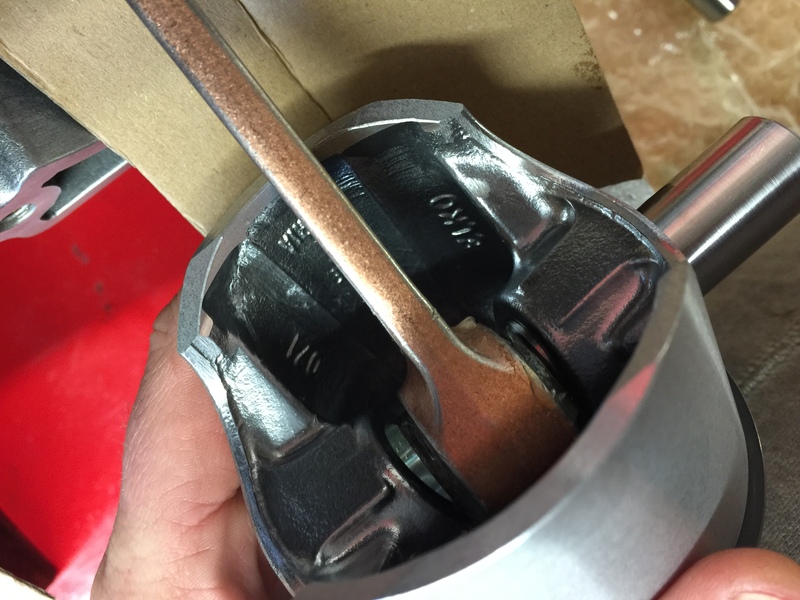 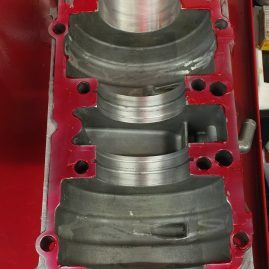 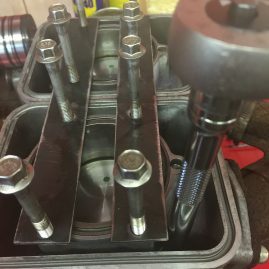 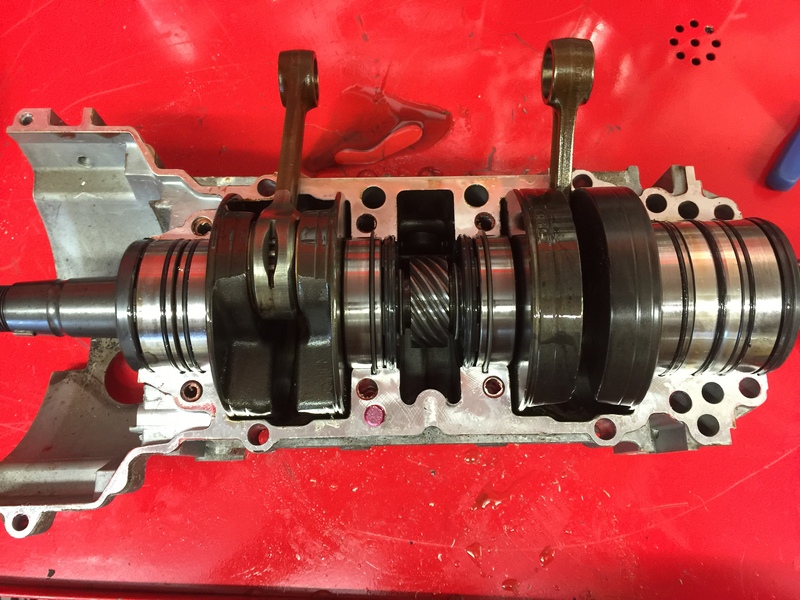 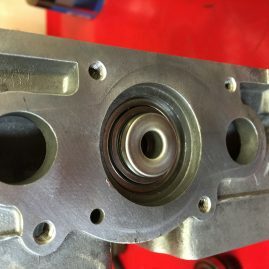 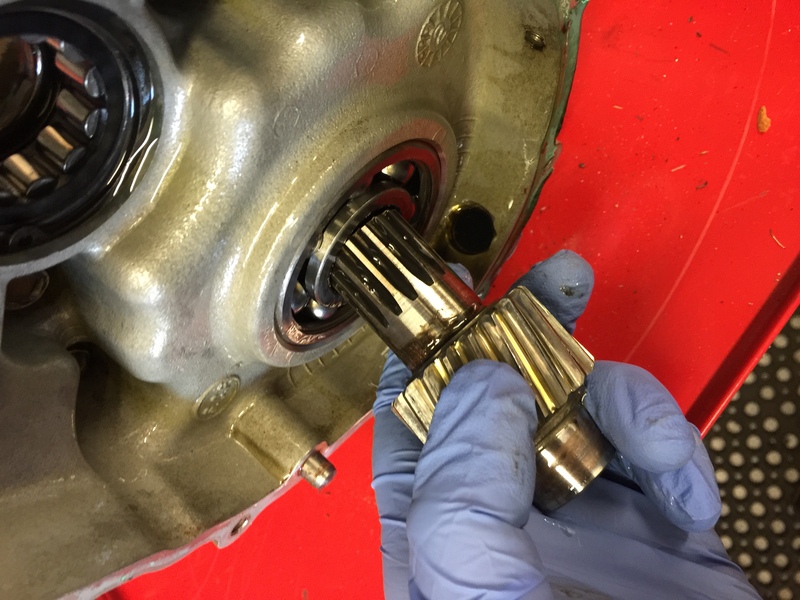 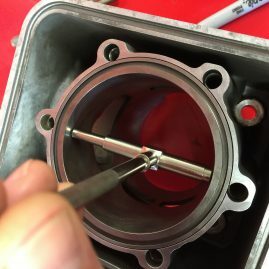 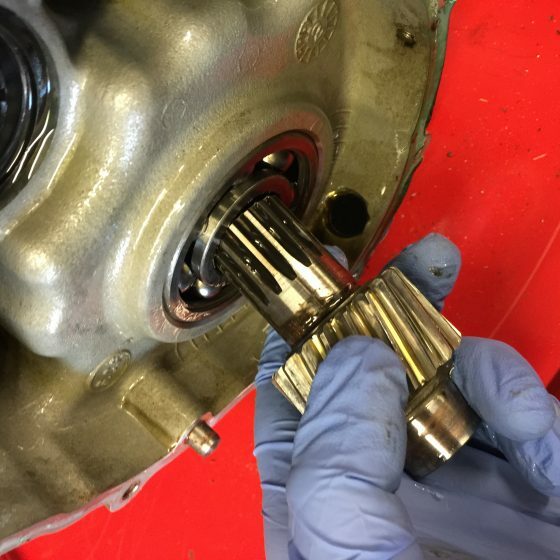 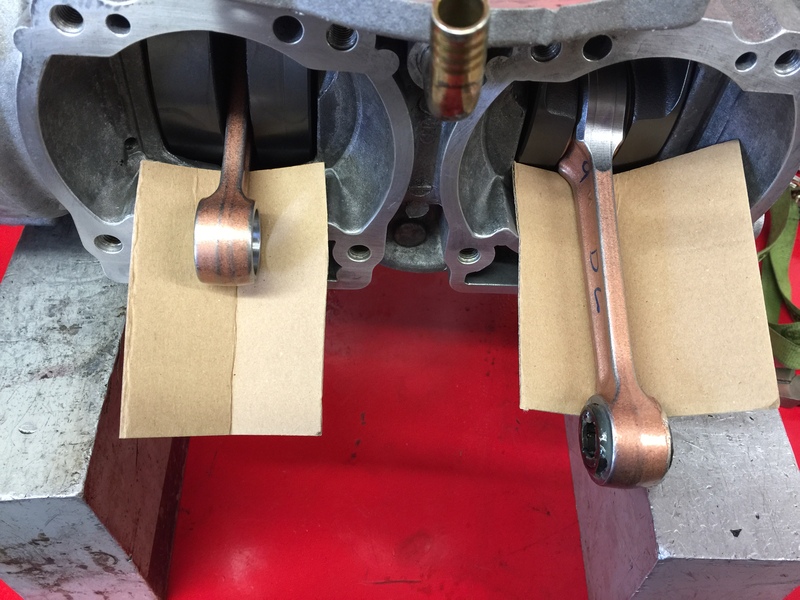 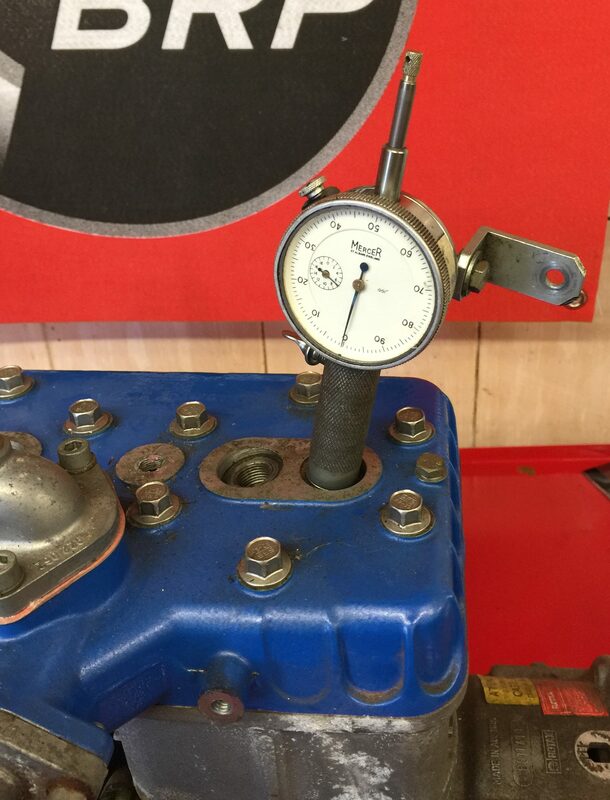 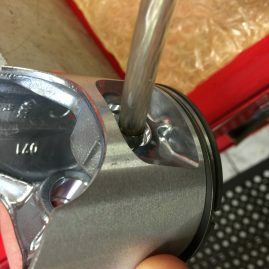 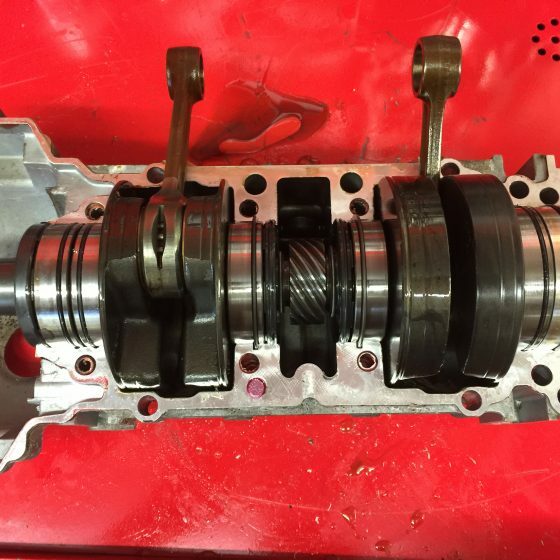 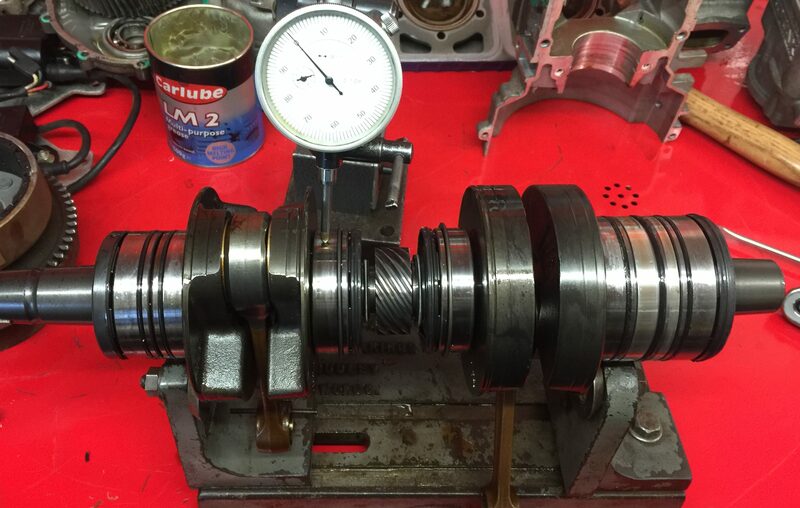 The crankshaft is put on an alpha true to check it for tolerance, The centre bearings were found to be sticking with extremely rough rotation. 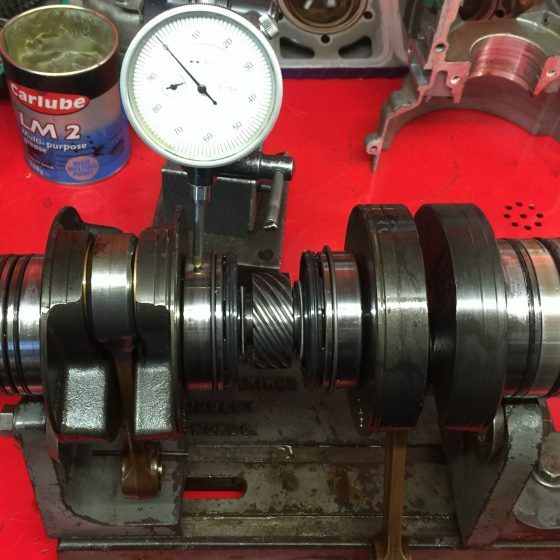 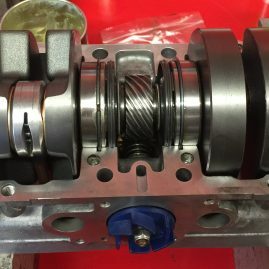 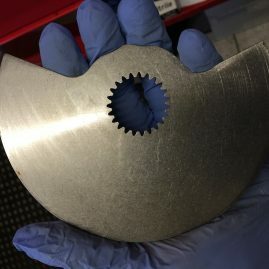 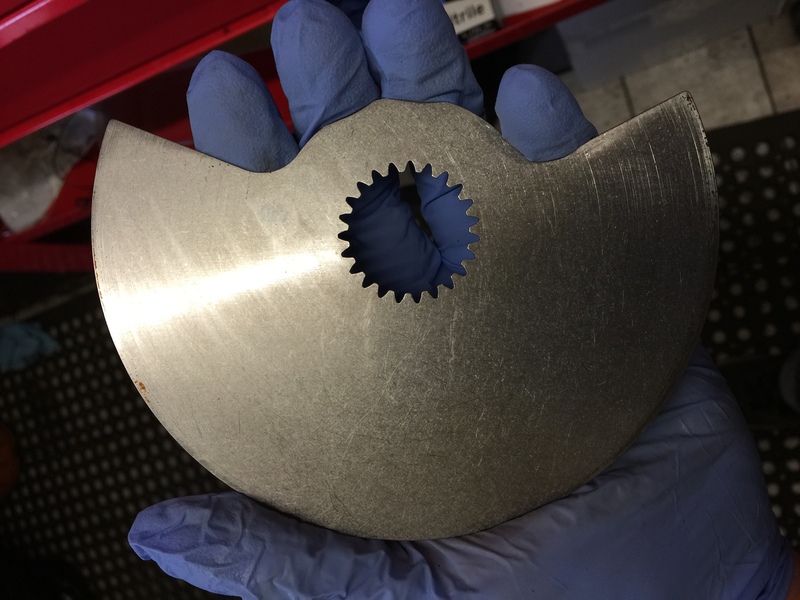 At this point it was deemed necessary to fit a new crankshaft & use a repair kit. 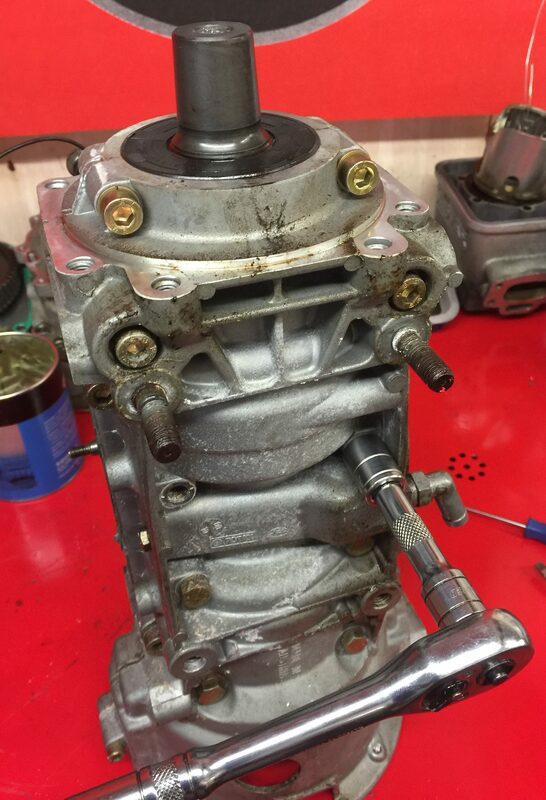 At this point all the parts are cleaned & measured up to make sure a repair kit is worth fitting. Once everything has been checked ok the rebuild can take place as in the picture below.